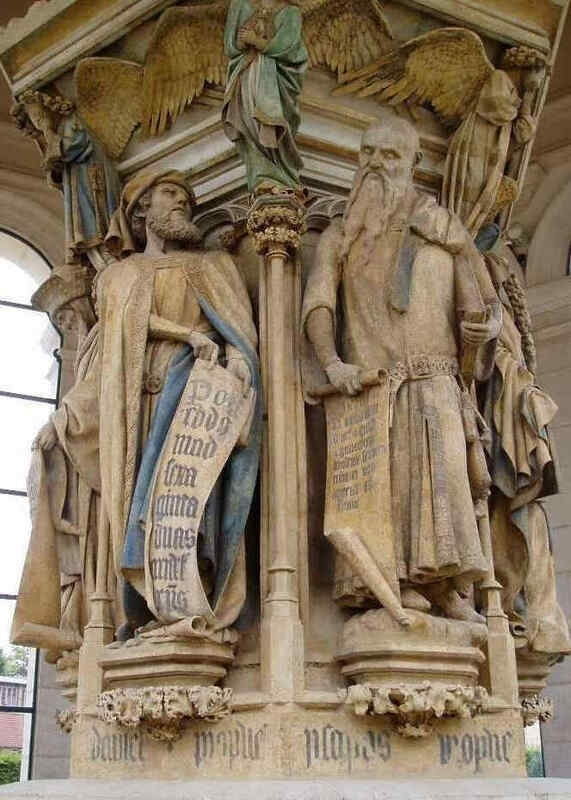 Sluter, Multscher, Riemenschneider, Stoss and Baldung. Continuing our studies on the great works of Art, we will show some further slides today, supplementing those that were shown last week. 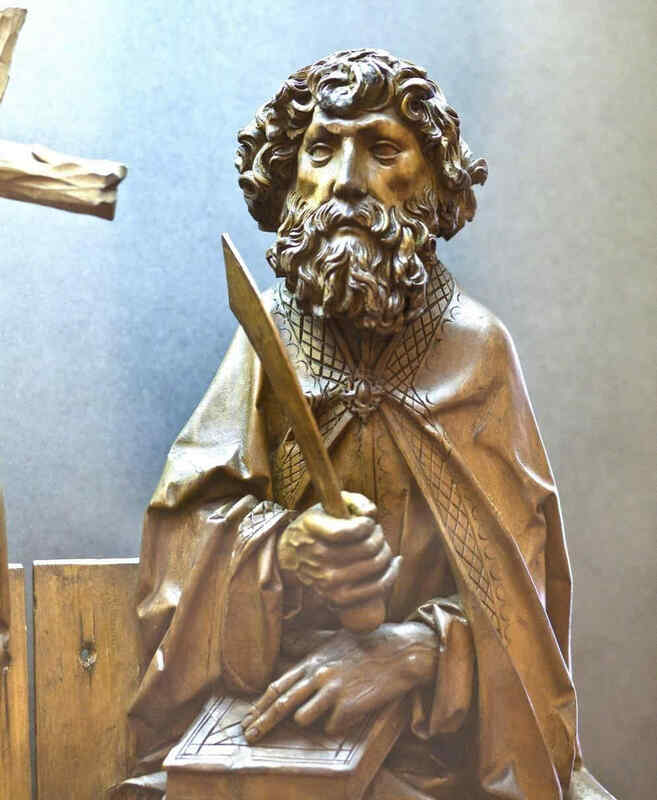 Today I propose in the main to supplement what I endeavoured to explain last week, of the connections and contrasts between the Mid-European, or Northern, and the Southern Art. I tried to show how the specifically artistic quality is always influenced by the character of the South or of the North, while, on the other hand, there were continual interpenetrations of the Southern and Mid-European impulses, layer upon layer, as it were, so that it is by no means easy now to see how these things really worked together. Spiritual scientific investigations will in course of time have to bring more and more light into these matters. Today I wish to draw attention to the contrasts from certain other points of view. You will remember what I emphasised last time. From underlying impulses of the Mid-European spiritual life, there arose what we may call the art of expression — expression of Will and Intelligence — the power to express the ever-mobile life of the soul. 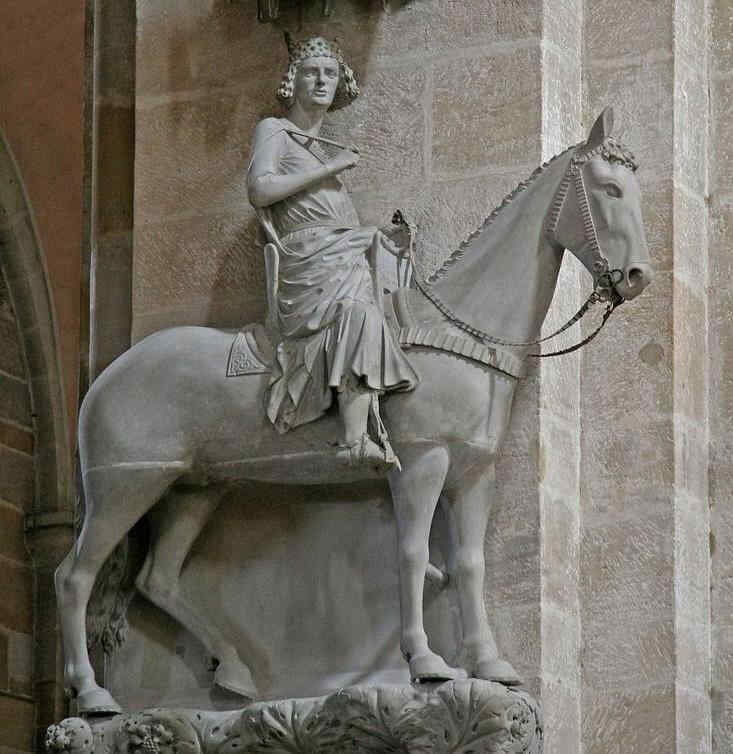 The soul in movement — that is the goal of the Mid-European impulse; while the Southern (which was, however, influenced at a very early stage by the Mid-European) looks more to all that enters our perceptions from the Divine-spiritual in the Cosmos, which finds expression in the power of composition, and in features which transcend the human. It is a characteristic abuse of our time to consider Art — even the plastic Arts — far too much from the mere point of view of the narrative and subject matter, while appreciating far too little the specifically artistic qualities. At the same time there is another equally pernicious error. Art is very frequently severed nowadays from the general life of culture and civilisation, and treated as though it were something that lives a life apart. This, too, is wrong. For we need only have a feeling for the specifically artistic qualities, for all that works in form and colouring, in composition and the like — we need only wean ourselves of the tendency to explain everything symbolically, or in other artificial ways; we need but feel — before such pictures as Dürer's ‘St. Jerome,’ or ‘Melancholia,’ for example, — how infinitely deeper is the mysterious ebb and flow of the masses of light themselves, than any artificial symbolism we may choose to read into these pictures. Then we shall recognise that the specifically artistic qualities that come to expression in the great works of Art, are also living in the whole general life of civilisation. Out of the common feeling of his time the artist works into the spheres of form and color and expression. The time itself works through the soul of the artist. The whole culture of the age finds expression in the characteristic works of Art. We saw last time how the Mid-European, or Northern element, works its way upwards more or less independently, while at the same time it grows together with all that is brought to it through the Church — through Christianity from the side of Rome. 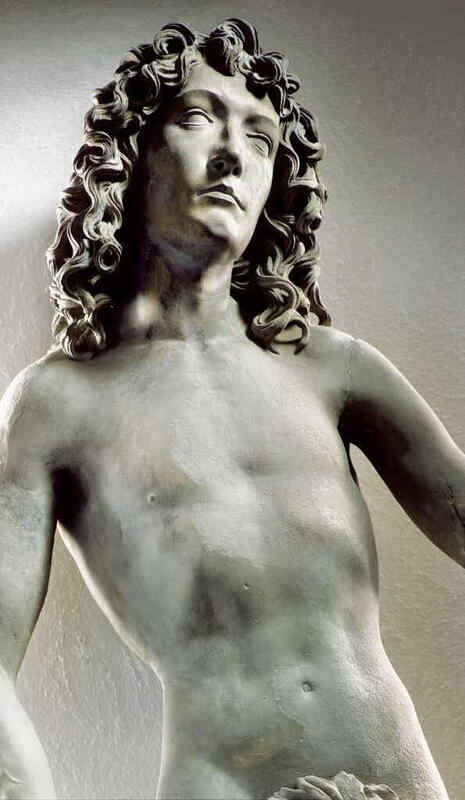 Until the 12th and 13th centuries we witness the development of a unique artistic life in Middle Europe, uniting the more Roman or Latin elements with a strongly individual characterisation of all that is life and movement in the human soul. 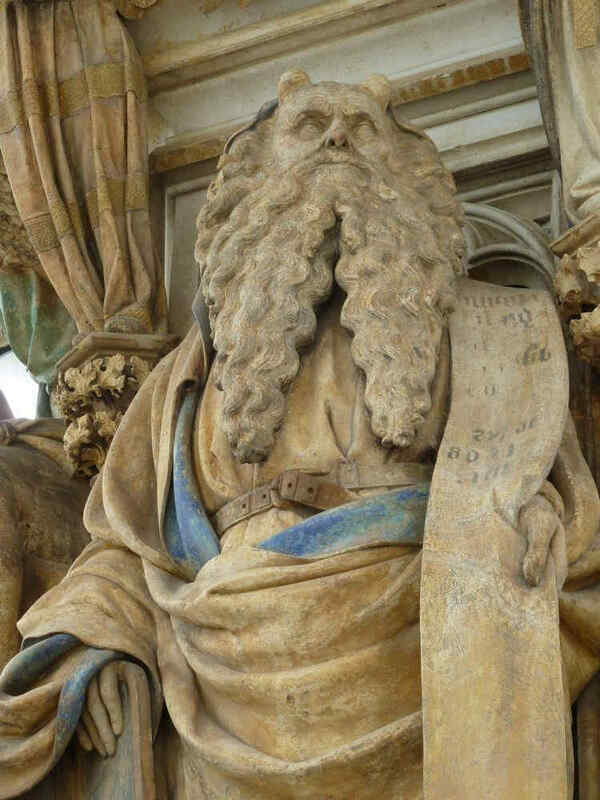 We cannot understand what took place until the 12th and 13th centuries if we merely consider what we know of the spread of Christianity in the succeeding time. For the whole spread of Christianity was a very different thing in those earlier centuries from what it afterwards became. It was only in later times that the rigidly dogmatic qualities which so repel us, came into prominence, though, needless to say, there were all manner of excesses even before the twelfth century. And while in Middle Europe the systemmatising, formal tendency of Rome was always felt like a foreign body, still the Christian impulses found their way most wonderfully into the soul-life of the people — especially into the more subconscious, feeling elements of the soul. This entry of Christianity into the soul found expression especially in the sphere of Art, where there was a wrestling for plastic power of expression. Here we may point to a truth which can be characterised in two very simple statements which are, none the less, very far-reaching. We may ask this question: To what does Art appeal among the Southern peoples? To what did it appeal already in antiquity? And elsewhere in the South, in the period of its decline and in its resurrection from the early to the late Renaissance? To what does Art appeal in the more southern regions? It appeals to the fancy and imagination. This statement is of infinite importance. The appeal is to the life of the fancy and the imagination, which is present in the souls of the southern people with a slight, suggestion of a sanguine temperament in these respects. Thus in the southern regions we see the Christian ideas entering, above all, into the imaginative life, and borne by fancy into the realm of Art. Needless to say, such a statement must not be pressed too far. I would say, the statement itself should be artistically understood. 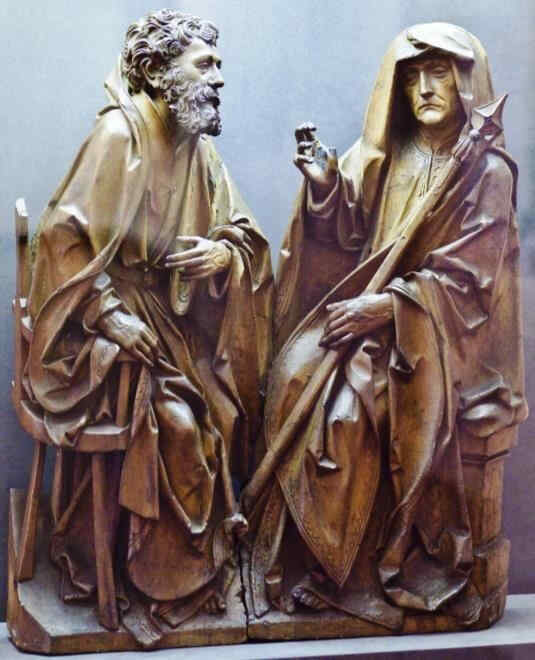 Only so, my dear friends, could it come about that in the time of the Renaissance artistic fancy rose to such great heights of creation, while the moral life, as we showed in a recent lecture, fell to the state revealed in the attacks of Francis of Assisi, and later of Savonarola. 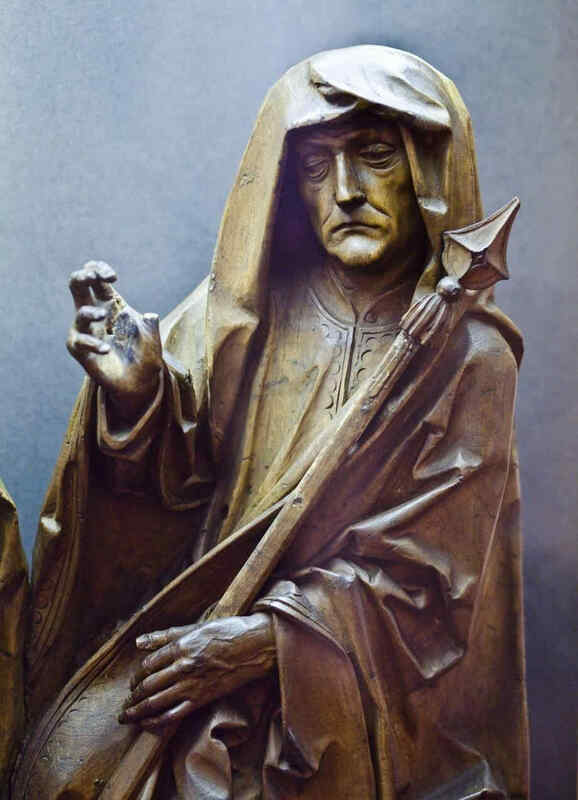 The situation stands before us when we contrast the fiery attacks of Savonarola which were all in vain, with the infinitely rich life of Christian vision and imagination in the plastic works of Donatello, Michelangelo, Raphael, Leonardo and many others. Art in the North speaks differently and appeals to a different element of soul, namely, to mind and feeling. Once more, these things must not be pressed; nevertheless, in such a statement guiding lines are given for the understanding of whole epochs of History. 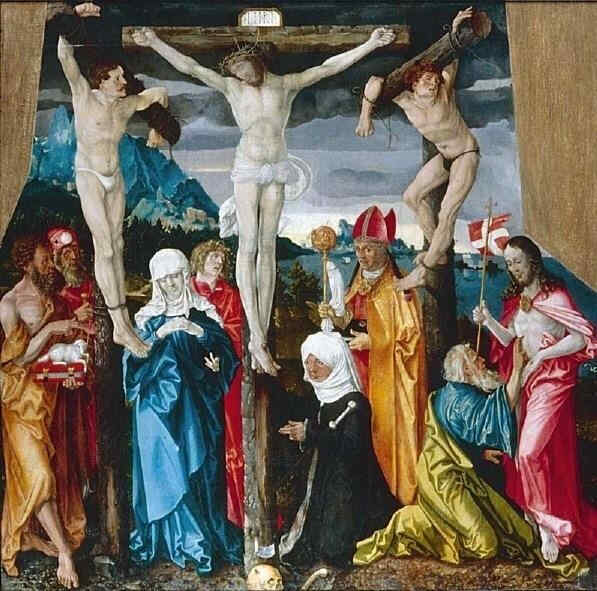 However we may believe that Christianity contains a peculiar, morally religious impulse of the soul, this impulse did not find its way into the element of fancy and imagination in the Southern culture which reached such giddy heights in the Renaissance. 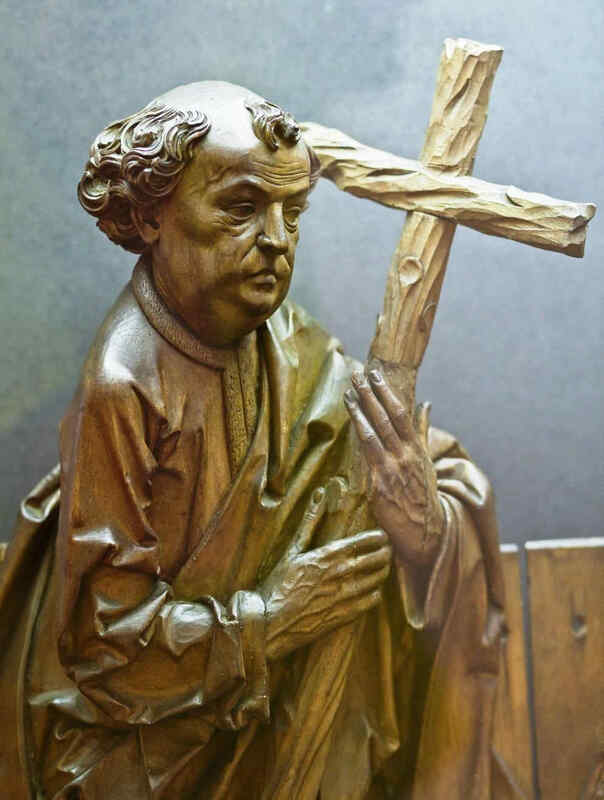 But in the North, the centuries until the 12th — nay, the beginning of the 13th — reveal in Art the progressive appeal of Christianity, and especially the tragic elements of Christianity, to human heart and feeling. The Art of the Italian Renaissance strives to make the countenance of Christianity itself as fair as possible — that, after all, is the essential element in the Renaissance Art: But the centuries to which I now refer, in Middle Europe, are all devoted to the striving to realise the Story of the Passion — with all its tragedy and drama, until the tragic story becomes their very own in heart and soul. Down to the Carolingian period in Middle Europe, Mid-European paganism continually breaks through into the life of feeling. But in the centuries from that time onward until the 12th and 13th there arises out of the very soul of Middle Europe an inherently Christian Feeling for all human life. And the strange thing is that from the 13th century onward a certain decline can be observed. Yet, as I explained last time, even now when another element once more overwhelms it, there is still the constant striving for the Mid-European soul to assimilate into its deepest inner life all things that come to it, so that, after all, there is a continuity of work and progress in the best souls, from the 11th century on into the 15th and 16th. 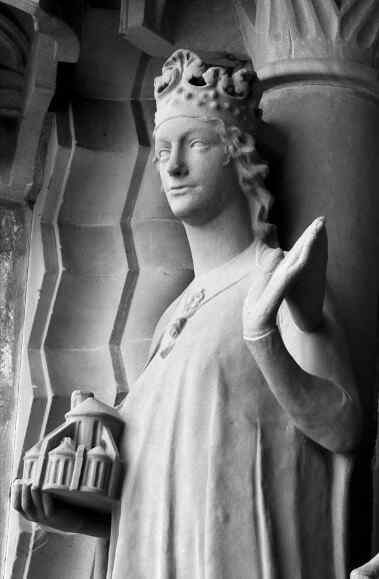 The gradual entry of Christianity into the life of the people is also recognisable, or, rather, would be recognisable, if the dramatic representations which did, indeed, grow more and more significant toward the 13th century, had been preserved. 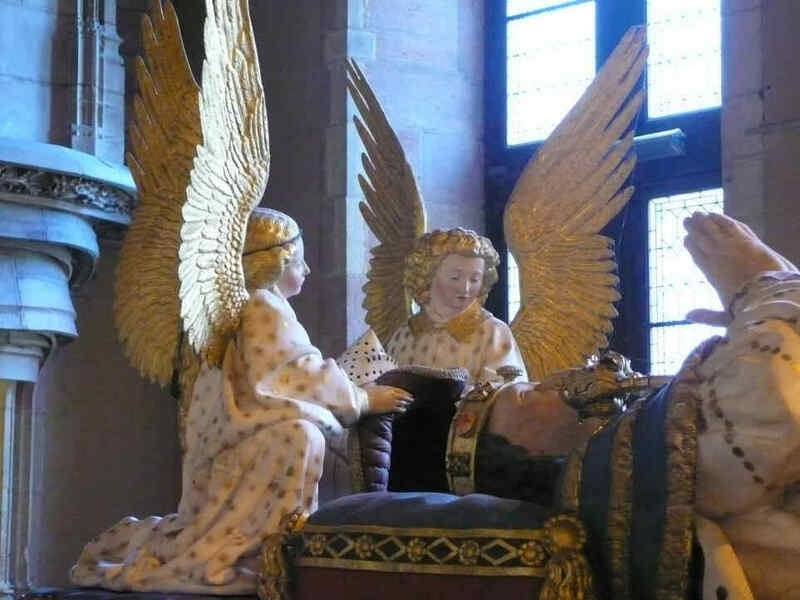 All that we now bring to light again — the Christmas and Easter Plays, and Plays of the Three Wise Men — are of a later date, and are but a faint reflection of those earlier ones which tended to a more universal presentation of the Christian world-conception. 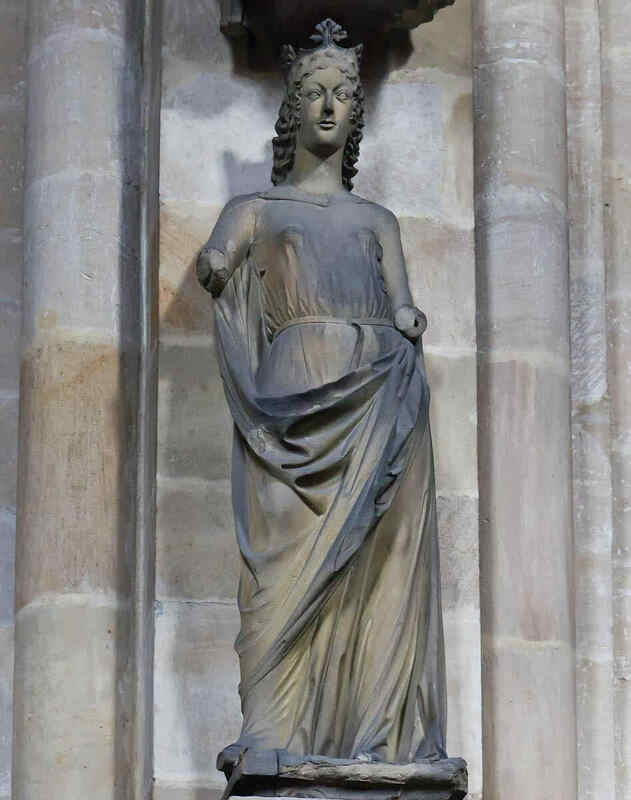 The Play concerning Anti-Christ, of the 12th century, which has been found at Tegernsee in Bavaria, and a later Play on the Ten Virgins, these, too, are but echoes of Plays that were presented everywhere, dramatising the Biblical stories and the sacred legends. 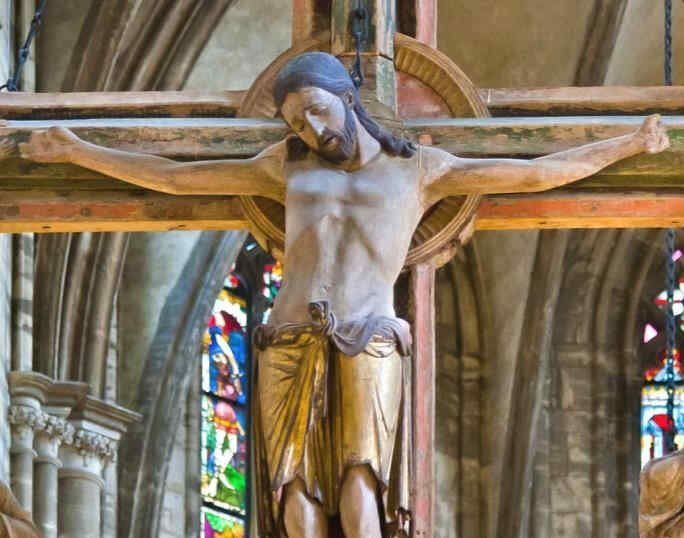 Out of this life with the Christian world-conception as a whole, there arose the works of Art which we shall see again today and which we say last time. There followed what I might call a slow and silent working towards the deepening of the soul's life and its artistic power of expression. 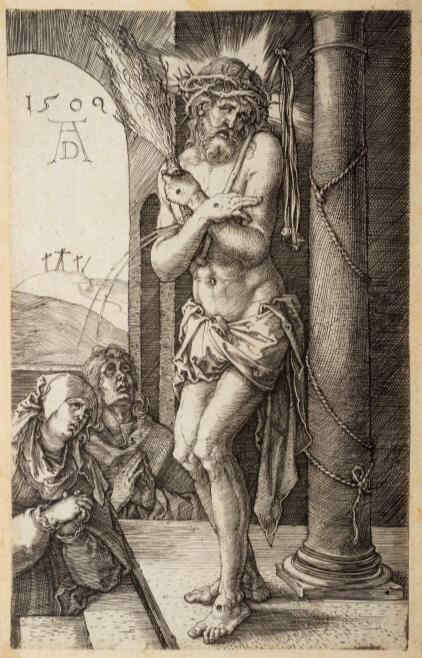 It finds expression wonderfully in Dürer's representations of the Passion, and notably in the head of Christ Himself as conceived by Dürer and others. It will be a satisfaction to me if we can show these pictures, too, on some future occasion; we do not possess them at present. 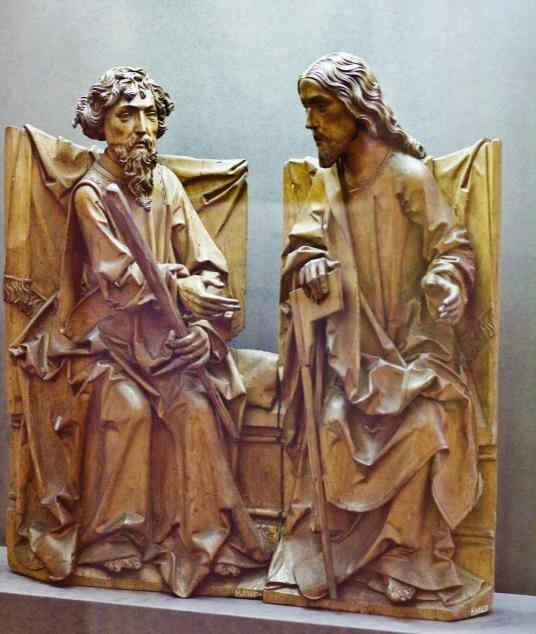 If we study the progress of artistic penetration in pictures of the countenance of Christ till Dürer's time, and in other things as well, we find there was really attained in Mid-Europe at that time an astonishing degree of maturity. It lies inherent in the subtle difference between the Mid-European and Northern, and the Southern life, which developed, as it were, the last phases of the Fourth Post-Atlantean epoch — (albeit the Fifth epoch already shone into the Renaissance); — the South in its deepest tendencies of feeling was still expressing the last phases of the Fourth; while in Mid-Europe and the North the Fifth Post-Atlantean epoch was preparing. What afterwards became the expression of the individual, and of all that is mobile in the human soul — the soul in movement and emotion — all this was working its way up from unconscious depths. Here we see the whole life of the two regions in their essential difference. We need only bear in mind how much in the Southern Art is due to the fact that there still existed a living atavistic perception of what plays from spiritual regions into the realms of sense. 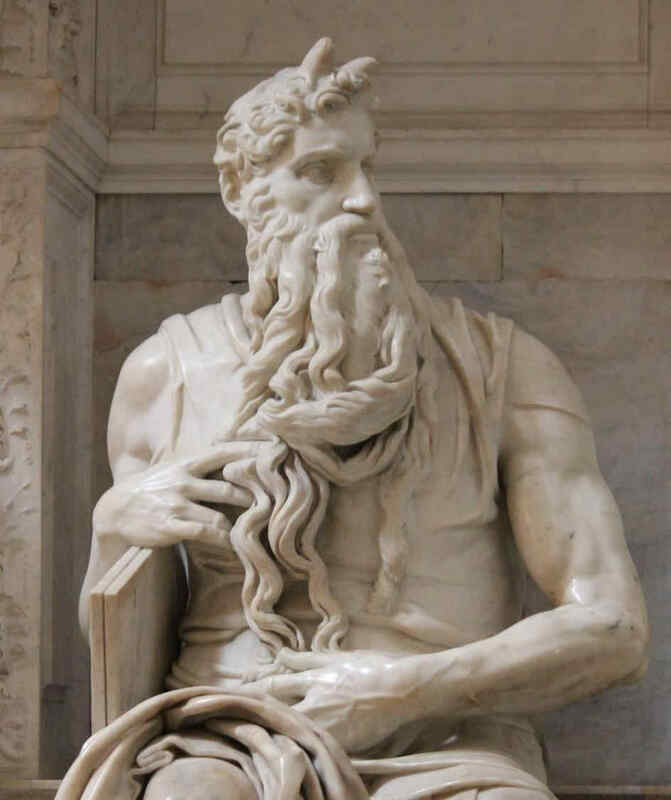 For this was, indeed, preserved in what are known to us of the Byzantine forms of Art — in all the suggestive forms and figures that have come down to us. Take, for instance, what works upon us with such suggestive power in the Art of the Mosaics, and in all that is connected with the name of Cimabue. 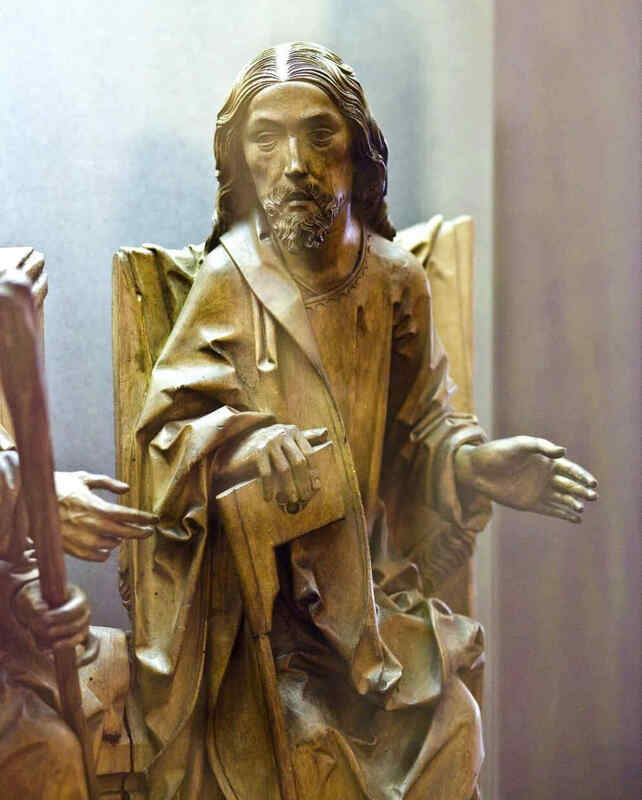 Here it is more the Christ Figure that works upon us. 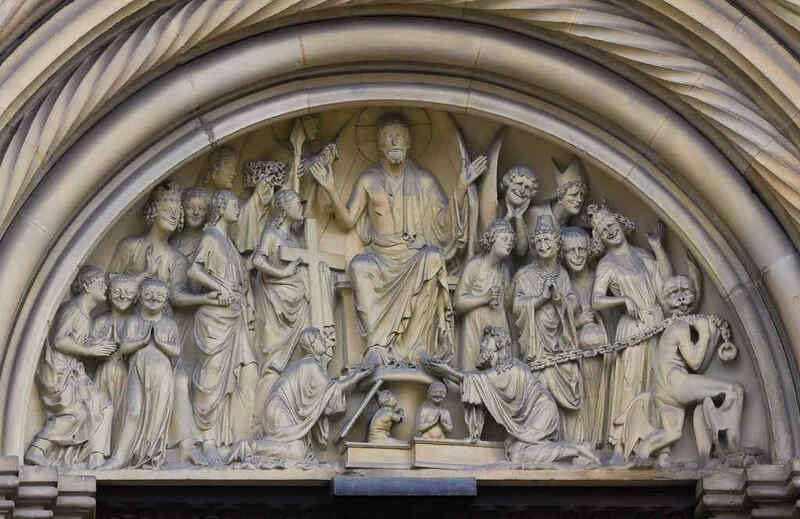 In Middle Europe it is, rather, the life of Jesus that is presented to us, for the artistic forms are created directly out of the inner life of the soul. 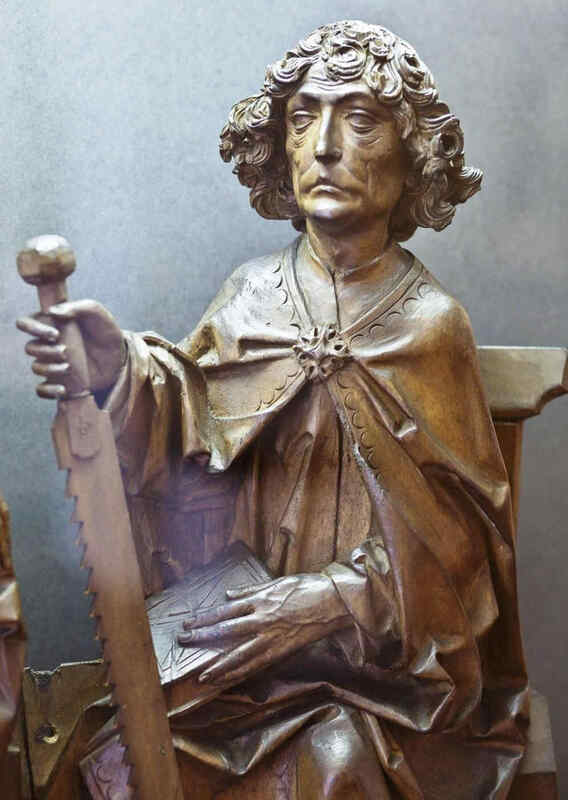 Superhuman as is the Byzantine type of Christ, inwardly human is the Christ type which was afterwards worked out by Dürer. 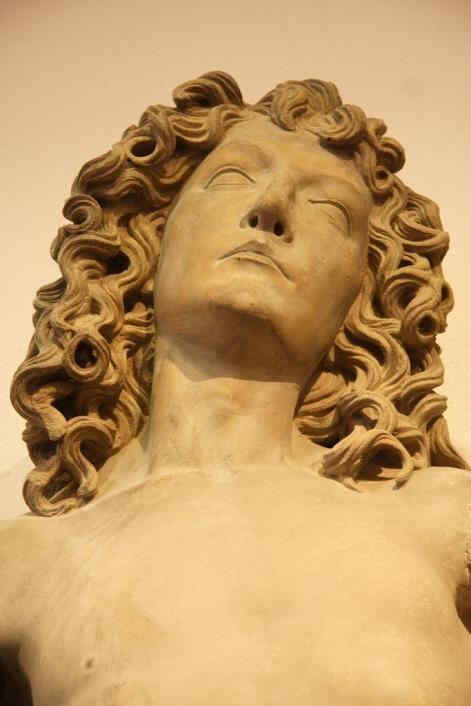 The Fourth Post-Atlantean epoch, including the latest flower (in the Italian Renaissance) has essentially the quality of looking upward to the superhuman and typical; the superhuman and generic nature of the soul, setting aside the individually human. The Southern peoples brought to their Art, in a far higher degree, the ancient, the generic nature of the soul in its superhuman and divine quality. In the Northern Art, on the other hand, we see the strong decided striving of the individual, as it works its way upwards out of every single human soul. The more these things are understood, the more this will be confirmed. The southern life still contains mankind as a whole. Think how intensely an Athenian was an Athenian, or a Spartan a Spartan, so that Aristotle rightly called man a “Zoon politicos” — a political animal. The “political animal” was developed to its greatest height in Rome, where, we might say, man lived more in the streets than in his own house; and with his soul-life, also, he lived more in the life that surrounded him than in the house of his own soul. Such, truly, was the Southern imagination as it worked in the world of space. From the very outset men live together, live together as a whole, and the life of Art itself arises out of this principle. This is a feature common to all the Southern Art. They decorate the churches and the public squares; everywhere we see how they reckon with the fact that the people run gladly together, crowd gladly into the churches, or in the public squares, drawn thither by their very temperament and expecting what will there be set before them. To possess themselves fully, they need this life in the outer world, this living with the group-soul nature — with all that is most eminently political — in the right sense of the word. All this is different in Middle Europe. In Middle Europe man lives within himself; seeks his experiences in his own house and home, even the house of his soul. And if he is to dedicate himself to the group-nature, his heart must first be conquered for it, he must in some way be summoned to it. 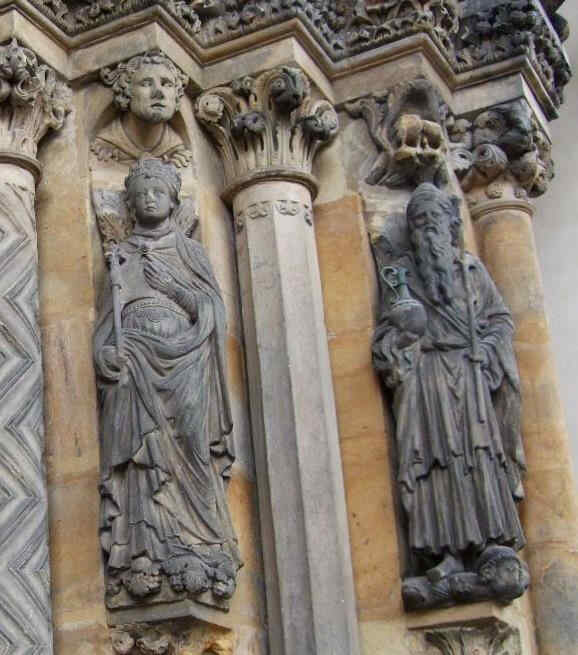 Many of the underlying impulses of Gothic architecture will be found to lie in this direction. 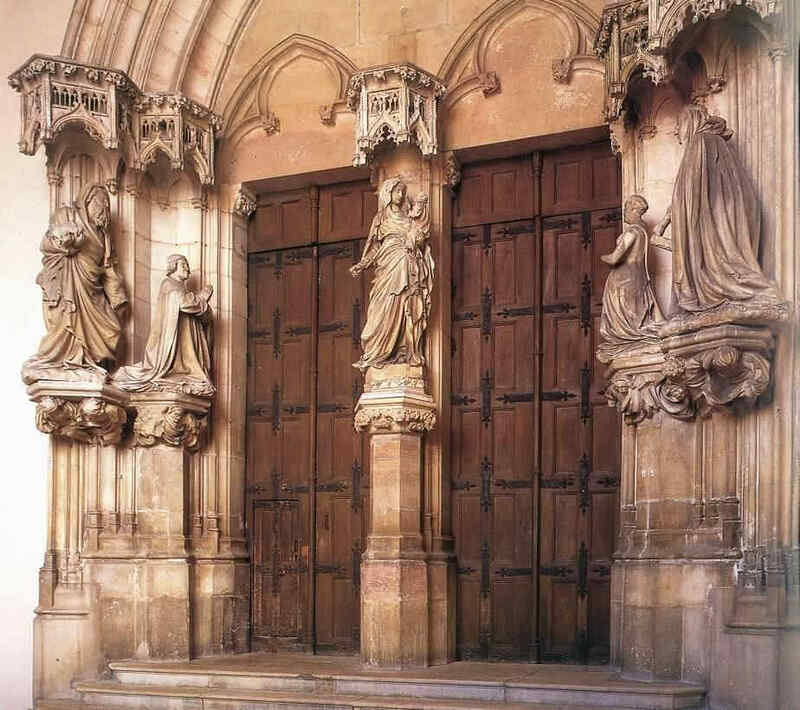 The buildings erected by Gothic architecture stand there not because the people are already running together of their own accord, but, on the contrary, because they must first call the people, bring them together, as it were, through mysterious and suggestive influences. 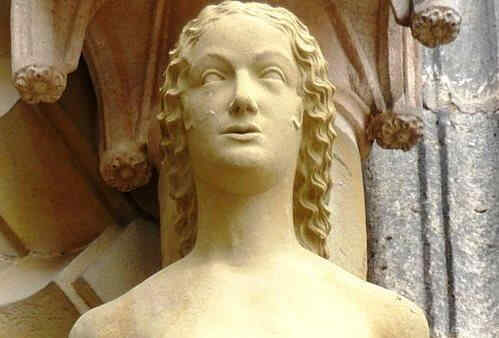 This is expressed in the very forms of the Gothic. The individuals must first be called to the group-life. And the same thing lies inherent in the whole treatment of light and darkness which I described to you the other day. In the elemental surging and interweaving of the light into the darkness, man finds an element into which he can enter to free himself from his own separate existence; albeit he can carry his individual existence, his individuality with him into this very element, because it is so akin to the nature of the soul. In all these things we find the distinguishing feature of the Northern as against the Southern Art. Hence the striving — the successful striving — of the Northern Art to express inwardness of life and soul. 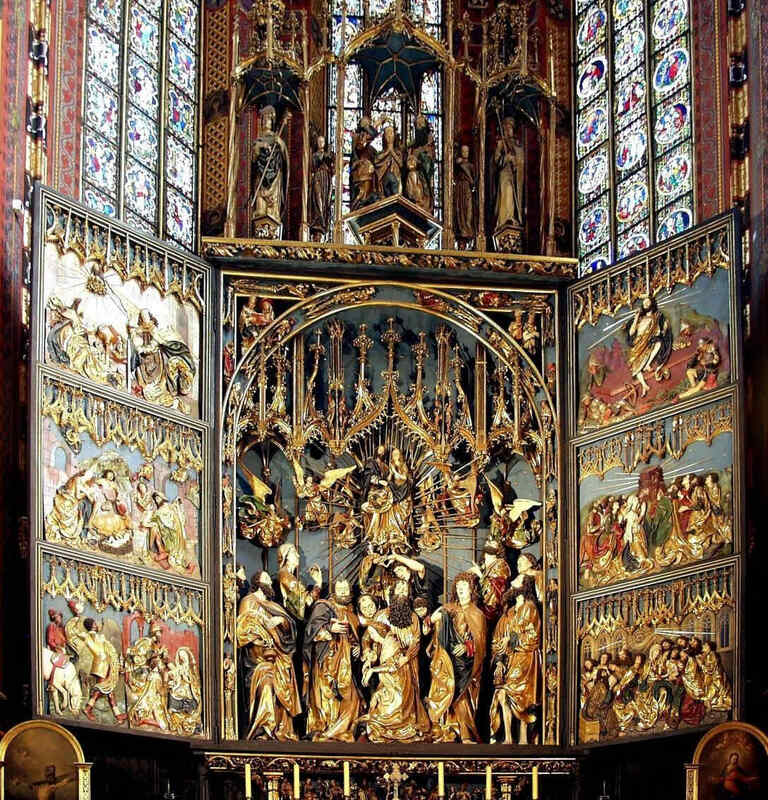 We need only call to mind the portraits, the Madonnas, for instance, of Van Eyck. These Madonnas — their facial expression altogether determined by a turning inward of the life of the human soul — this speaking from an inwardness of soul in the countenance and gesture — all this, Raphael would never have painted. Raphael raises what he paints beyond the human; Van Eyck lifts it into the still more deeply human, so as to seize the human emotions with his paintings, the human hearts of those who see them. Once more it is a question of grasping the human soul. 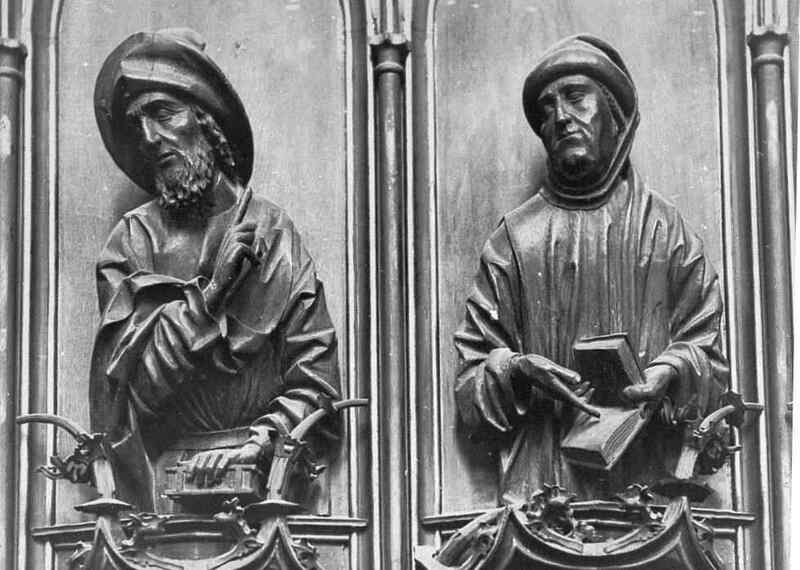 The priesthood until the 12th and 13th centuries were well aware of these possibilities of the human soul in Europe. They reckoned with these things. They worked with the heart and mind of the people. 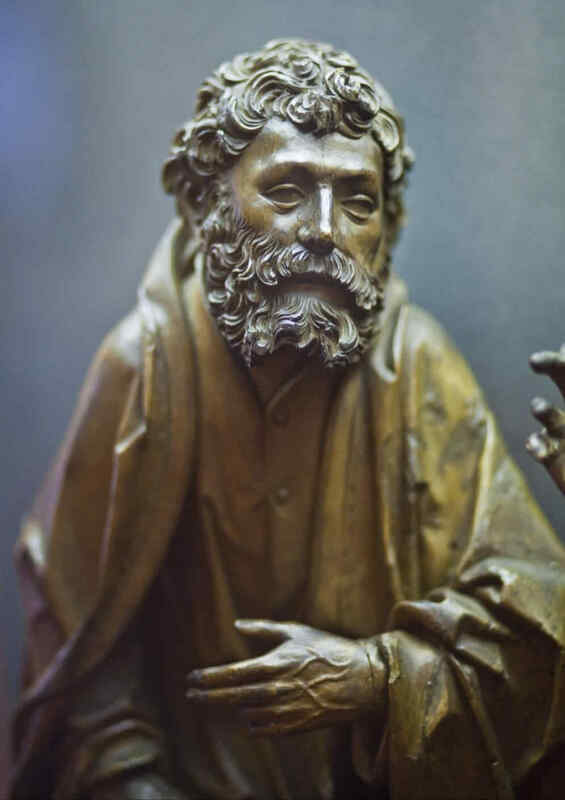 And without a doubt, much that arose out of this wrestling for artistic powers of expression, came about through the co-operation of the religious orders with that inner life and character of the people which we have here described. We must by all means understand how these more Northerly qualities of artistic creation are connected with the protesting folk-soul of the North, rising up in opposition against the Roman element. We will therefore now show a few more pictures, supplementing those we showed last week. 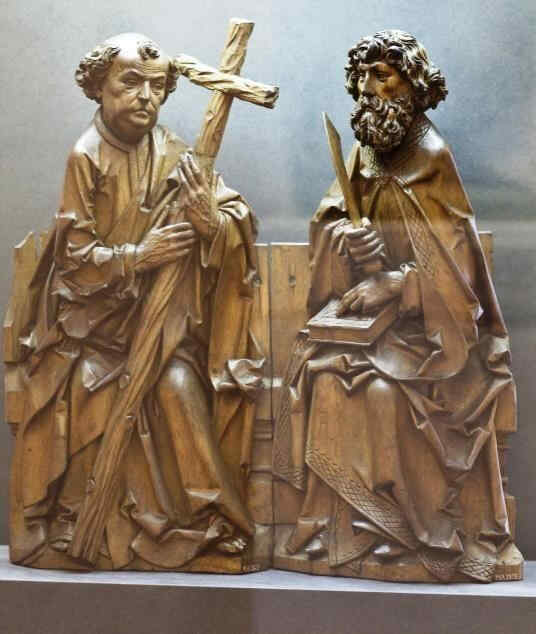 First we will show some wood-sculptures from the very beginning of the 13th century. They are at Halberstadt. 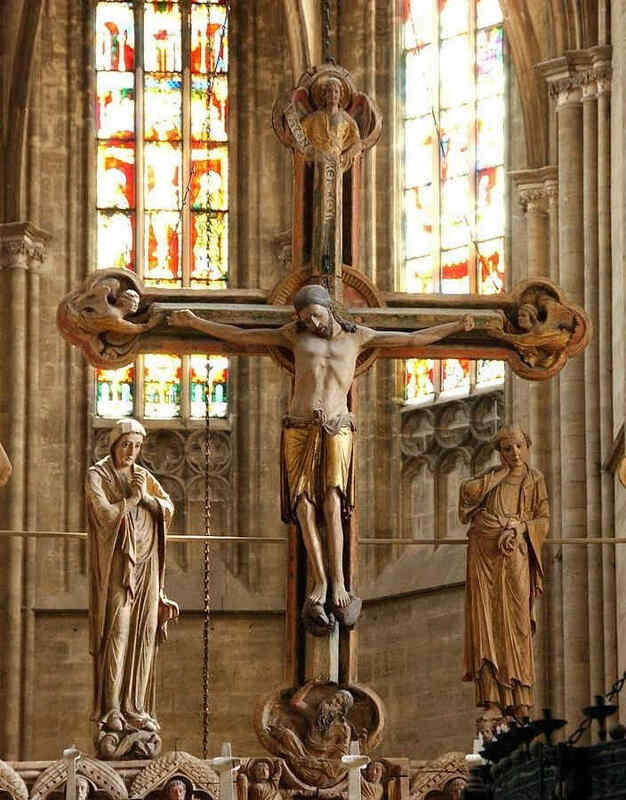 Look at this Crucifixion Group. I will only say one thing to characterise what is most important. In this group you can see how deeply the story of the Passion had found its way into their lives by that time. 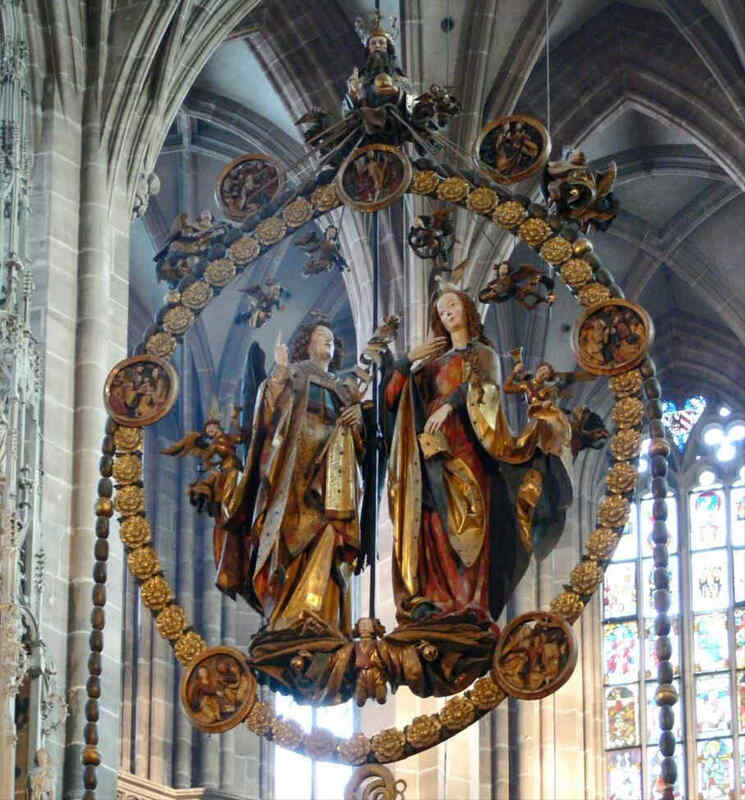 There is Mary, there is St. John, and in the center the Christ, looking down towards her. If you could see the face you would see an infinite deepening of soul in the expression, an overwhelming depth. 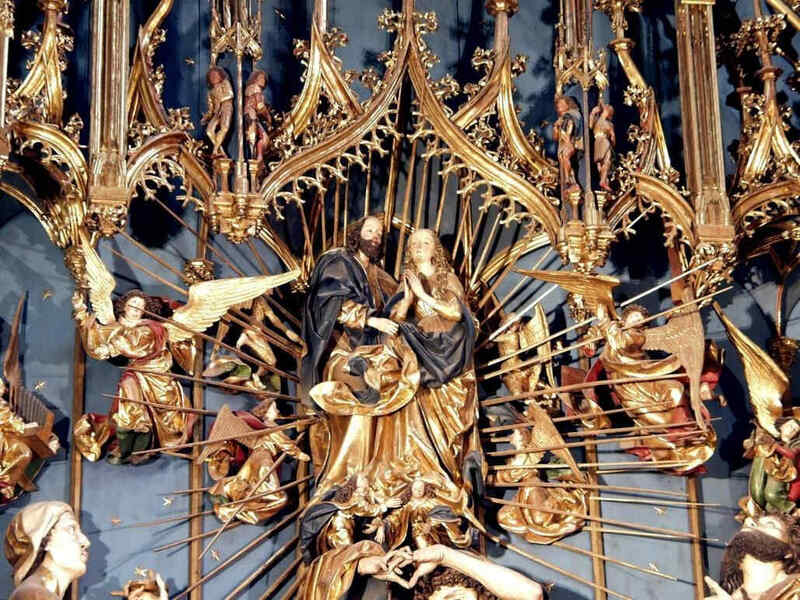 In Mary, if you have a feeling for these things, you will recognise at once the flowing together of the more Roman, priestly conception with the Mid-European depth and tenderness of feeling. Here it is recognisable in a most wonderful way. 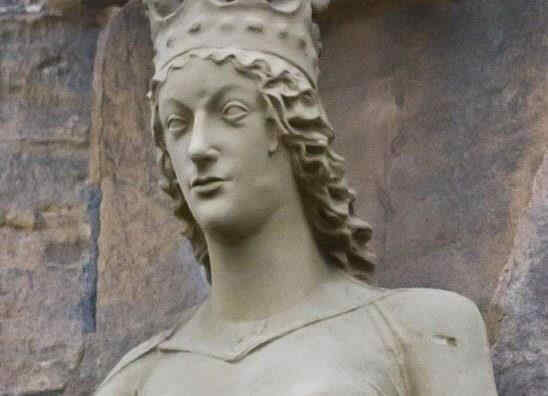 We shall presently show the face of Mary in detail. 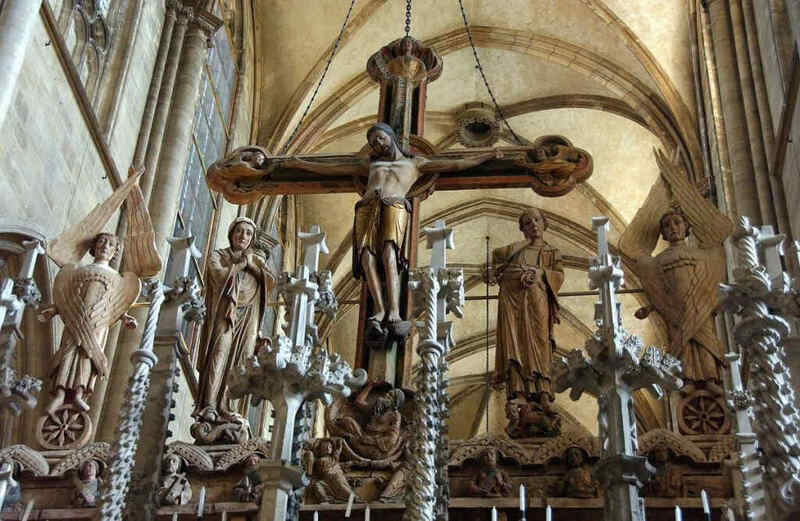 This group reveals how they contrived, out of the specifically Mid-European creative impulse of the soul, to mould the Christianity which had conquered the Mid-European country. We will now show the detail. Wonderfully characteristic is the expression of the face. The expression in the Southern Art is such that the eyes look far out into the world; in the Northern Art the soul, as it were, presses forward into the look of the eyes from within. Here the two are altogether interwoven — united with one another. A tenderness of soul in the expressions hovers gently, wonderfully, over a more Latin, Roman rounding and perfection of the features. These things must not be pressed. 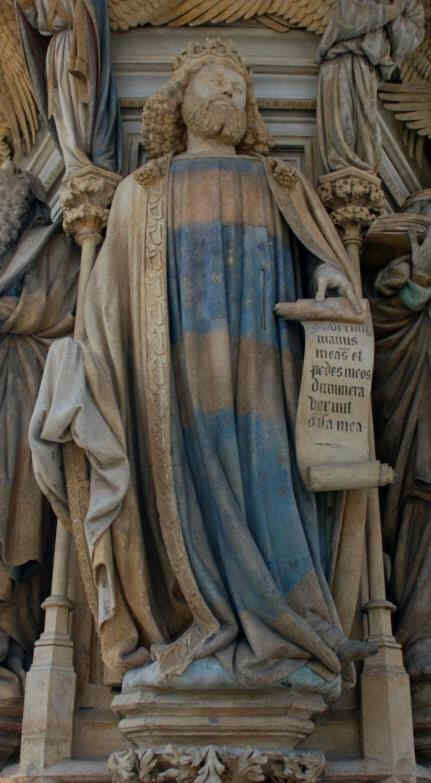 But I beg of you to observe in all the following pictures how very differently the clothing and drapery is treated in the Mid-European Art and in the Southern. 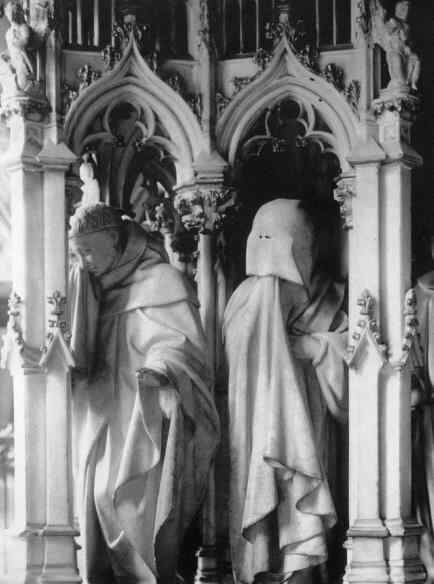 Undoubtedly, such things must not be pressed too far; yet it is true to say that in all the Southern Art the drapery rather surrounds and veils the human form, follows the lines of the form closely, continuing, as it were, the bodily forms. 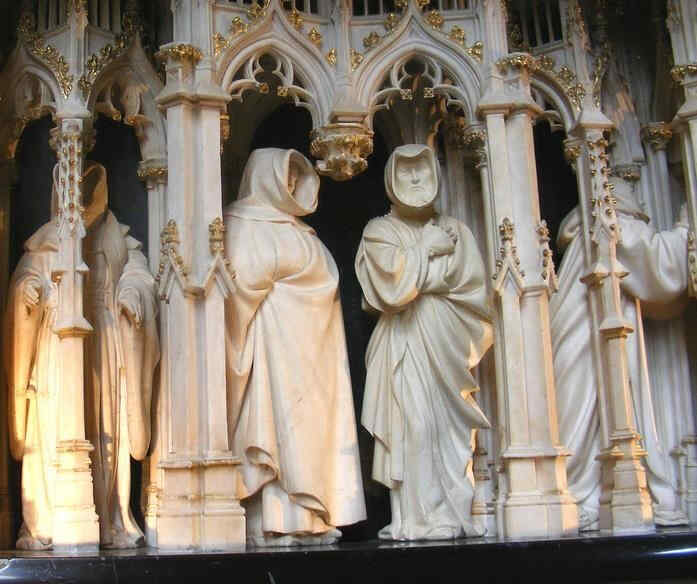 In the Mid-European Art the treatment of the drapery is different. It proceeds from the emotion and movement of the soul. According to the gesture of the hand and the whole attitude of the figure, the quick, mobile life of soul is continued into the raiment. The latter adheres less closely to the body. It does not seek, as in the Southern Art, to veil or to express the forms of the body. It is, rather, like a continuation of the living experience of the soul. You will see this more and more distinctly as we go on into the following centuries. 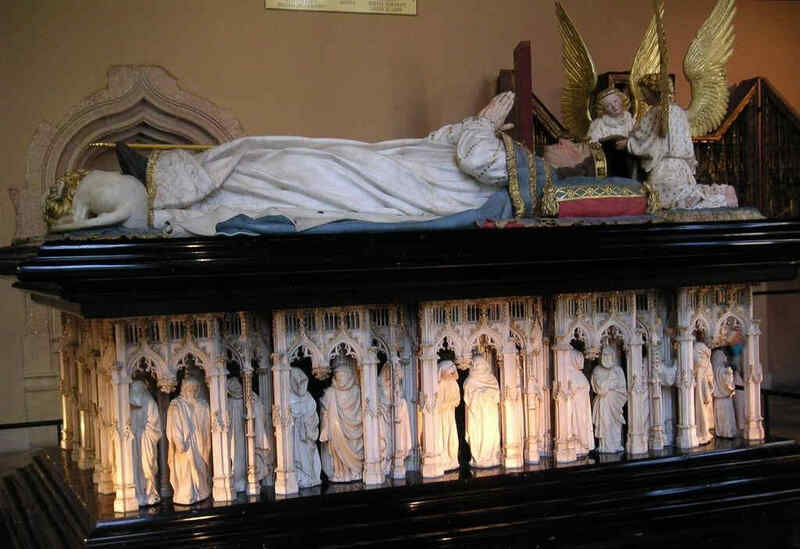 This, too, is in the wood, and dates from the first third of the 13th century. None the less, you will see in it a wonderful progression from the former group whose subject is so similar. Observe the communion of soul between the Mary and the Christ-Figure. 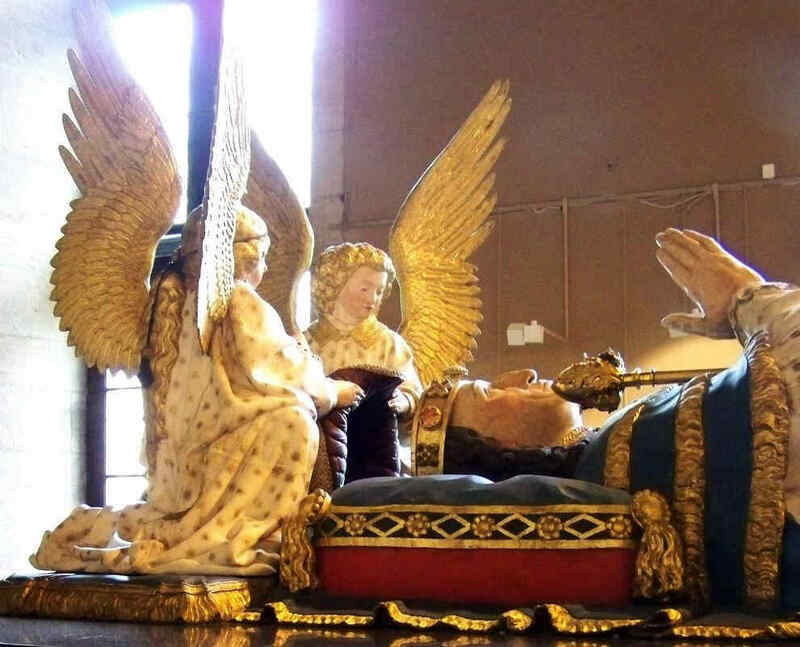 See how the faith in the Christian world-conception, deeply united with the human soul, appears in the St. John and in the Mary-Figure, as the power that overcomes all things. The Christian world-conception had entered into the souls of these people so as to become an universal historic conception of all earthly evolution. 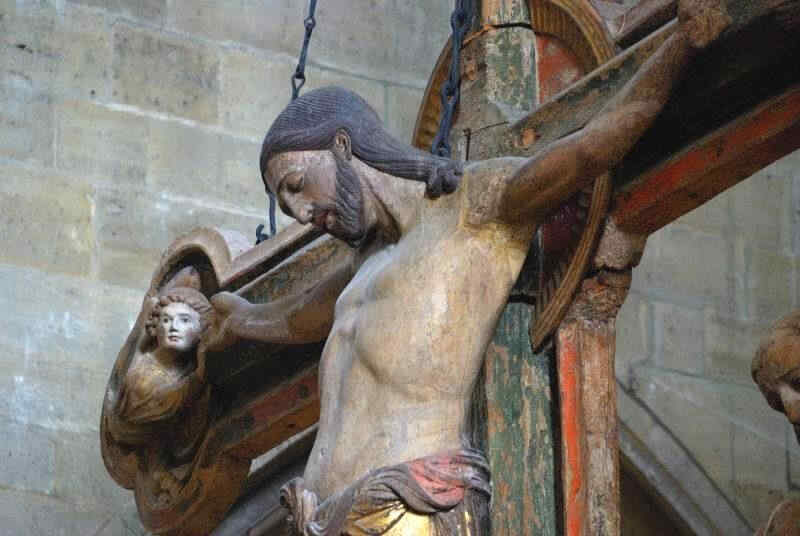 See how Adam, down here, receives the Blood of the Redeemer dropping downward from the Cross. 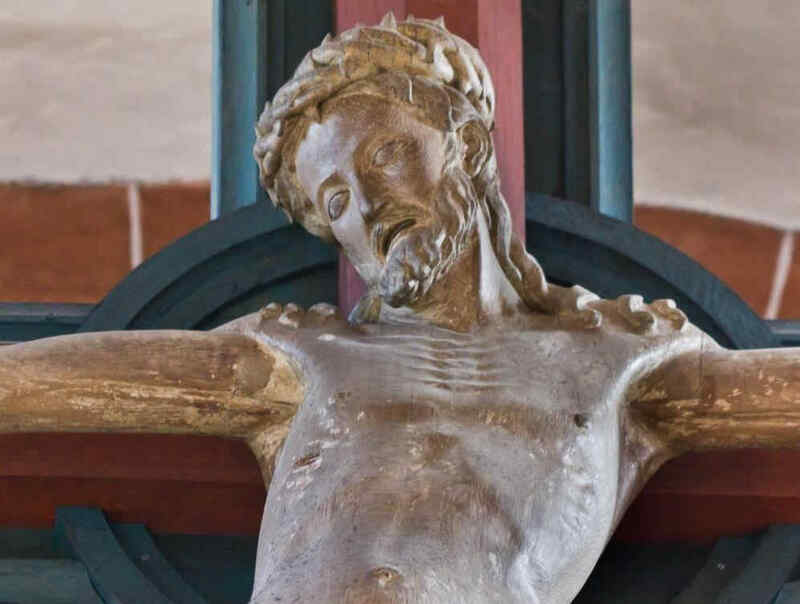 Study the face of Adam, how he is touched by the influence of Grace which he can now receive inasmuch as he may catch the Blood of the Redeemer flowing from the Cross. You will realise with what infinite depths Christianity had found its may into the lives of these people. It had risen to a universal and truly Cosmic conception. 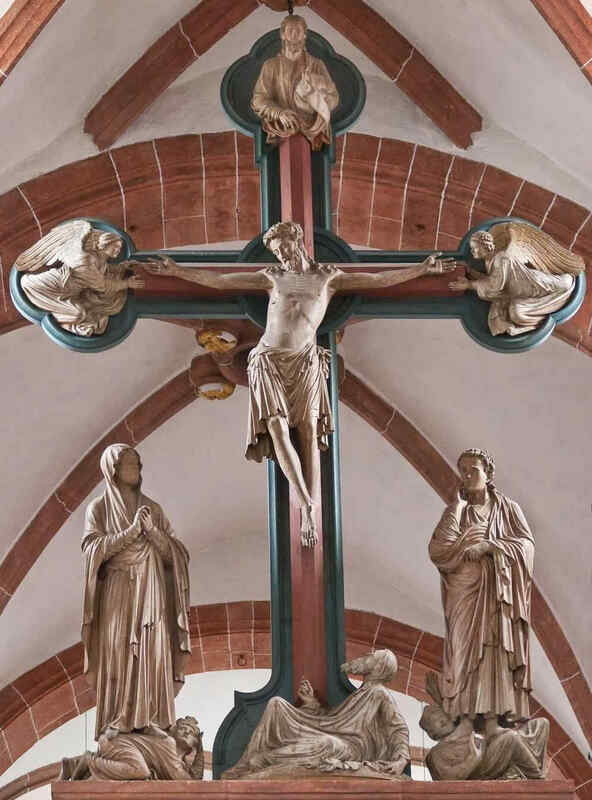 Angels carry the Cross. 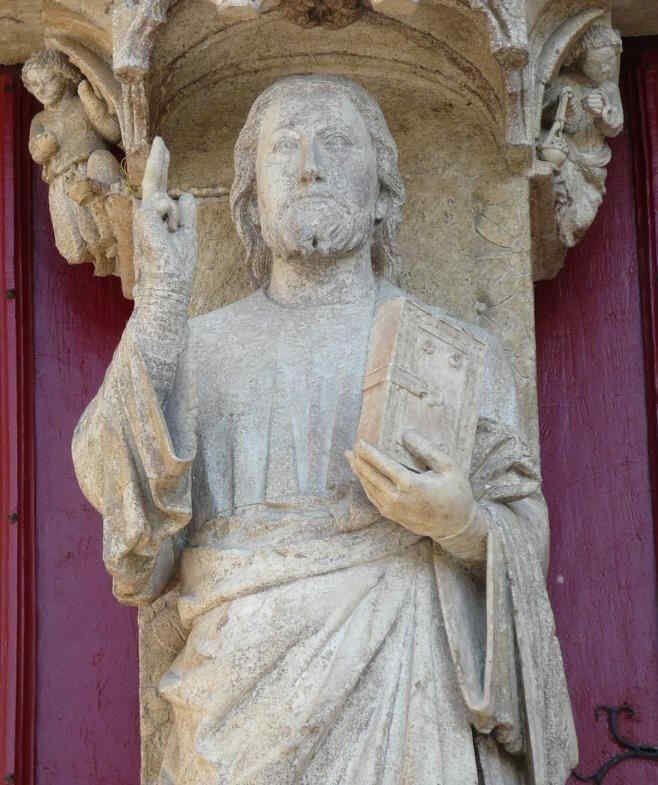 God the Father descends with the Dove, setting His seal upon the fact that what He had given to the Earth in His Son gives, at this moment, the whole Earth its meaning. 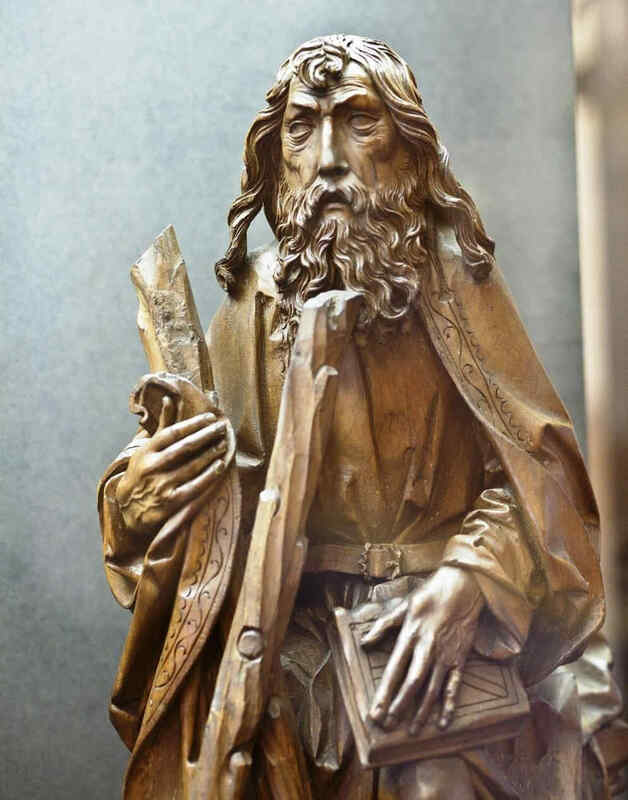 In this group with all its artistic perfection we see how deeply Christianity had found its way into Middle Europe,because they tried again and again to permeate it with the human heart and feeling, — to permeate it from within the human soul. On the other hand, in the South, it was permeated by fancy and imagination, thus producing that peculiar permeation, so free from the moral element — (or shall we say, in order not to give offence, so free from moral cant) — which comes to expression in the Renaissance in the South. 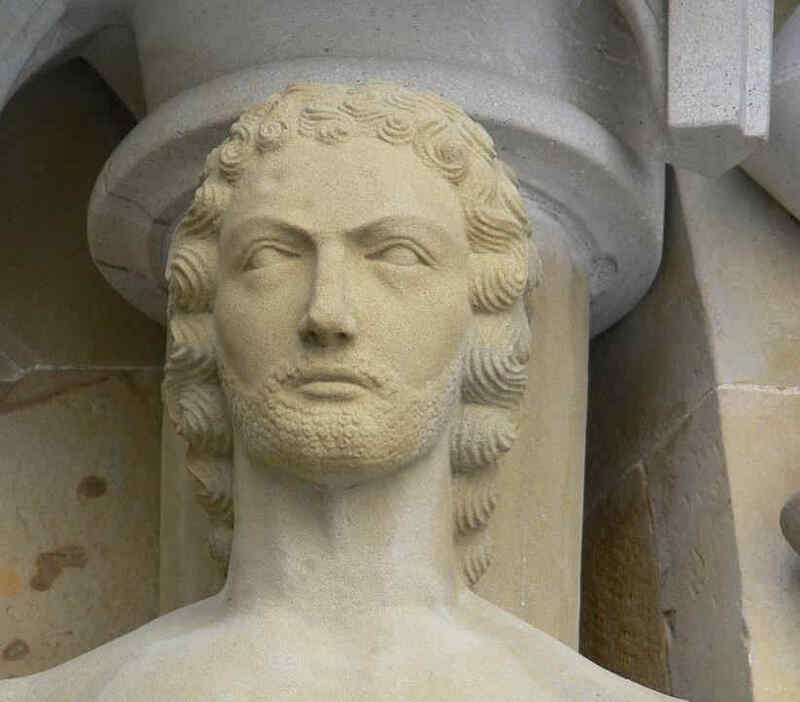 If you were to make a study of the progress in the representation of the Christ-Figure, this Head of Christ would be an important station. 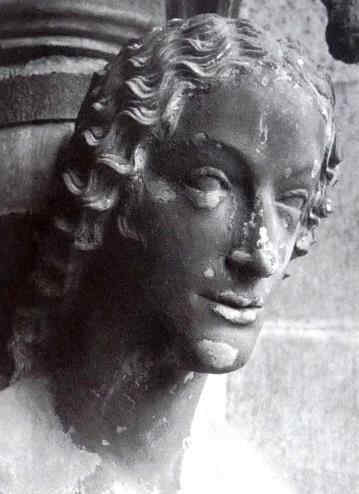 Also the Head of Christ in the Cathedral of Amiens, and afterwards, the Head of Christ by Albrecht Dürer. 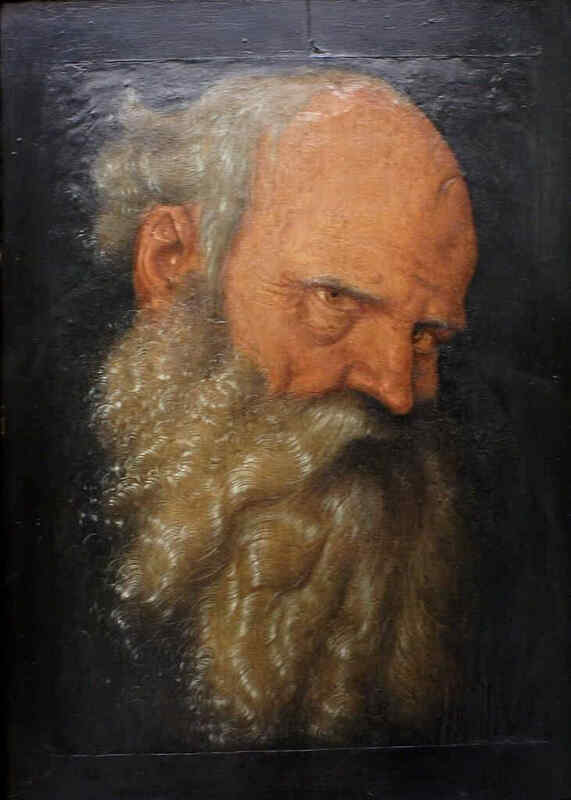 Head of Christ by Albrecht Dürer. shows us two figures. The one, the figure of a woman, is hard to interpret. 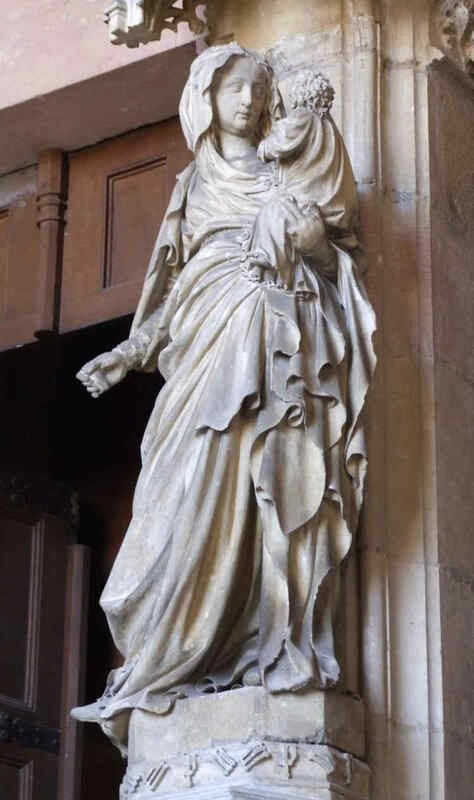 Perhaps she is an “Ecclesia.” The other is said to be Aaron. These things are not essential. 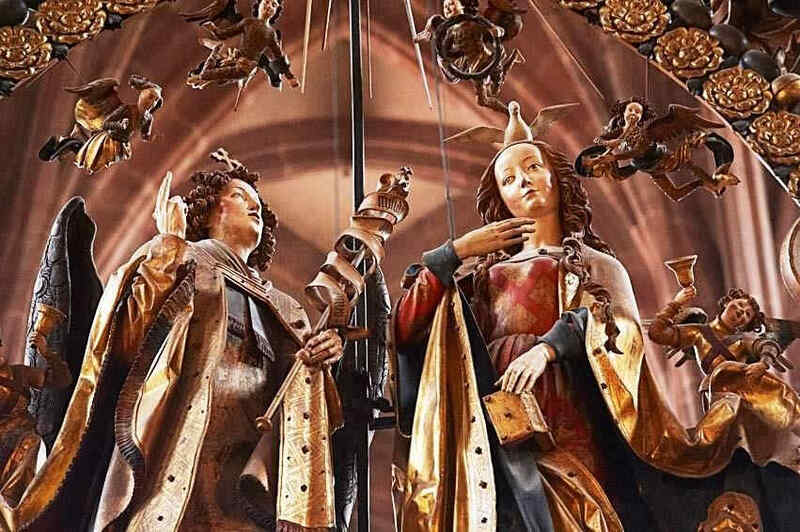 The figures are undoubtedly connected, allegorically or in some other way, with the Christian world-conception. Once more, observe the deepening of the soul's life. The contrast of expression between the face on the left, and that on the right is particularly fascinating from this point of view. 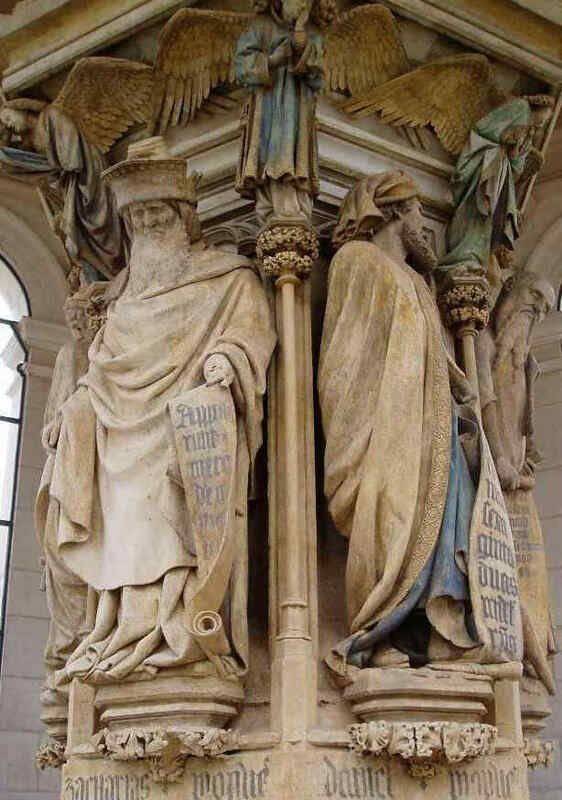 Supplementing what we showed last time of the Cathedrals at Naumburg and Strasburg, we will now show some sculptures from the Cathedral at Bamberg. Here, to begin with, we have two. See how directly the dramatic element, the living movement of soul, is expressed in the attitudes, representing the interchange between one soul and another. C. single moment is presented to us, while at the same time the two contrasting characters are well expressed. The composition is by no means great, but the expressiveness of soul is marvellous. He must remember that this dates from about 1240. Spiritual scientific research will in course of time be confirmed, in that it does not suggest — as many people still do today — that the Mid-European element, in its presentation of the Christian world-conception, was in any high degree influenced by the Southern. That, indeed, is not the case. On the contrary, the very opposite is true. The different streams are not as yet clearly seen by external history. 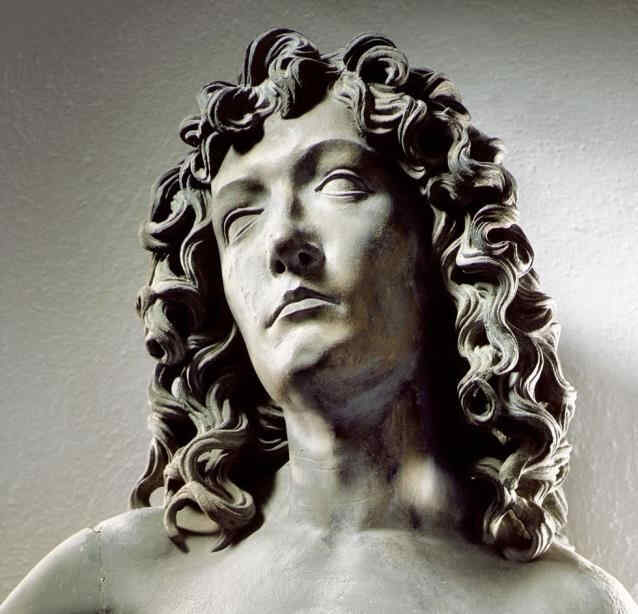 It is not seen, for instance, what I pointed out the other day — how the Northern impulses worked down even into the creations of Raphael and Michelangelo. Artistically, this conception is altogether a product of the Northern spirit. This example shows how the worldly and the religious elements played into one another. This was, indeed, the case, especially at the time with which we are now dealing. The worldly and the religious were brought together in the effort which I characterised just now. The souls of men had to be won over; the individual souls must first be called — must by some means be gathered together, if they are to look up in community, in congregation, to the spiritual world. Likewise, they must first be called if they are to express reverence in one way or another, for something in the outer worldly sphere. Hence the worldly is brought together with the ecclesiastical element. 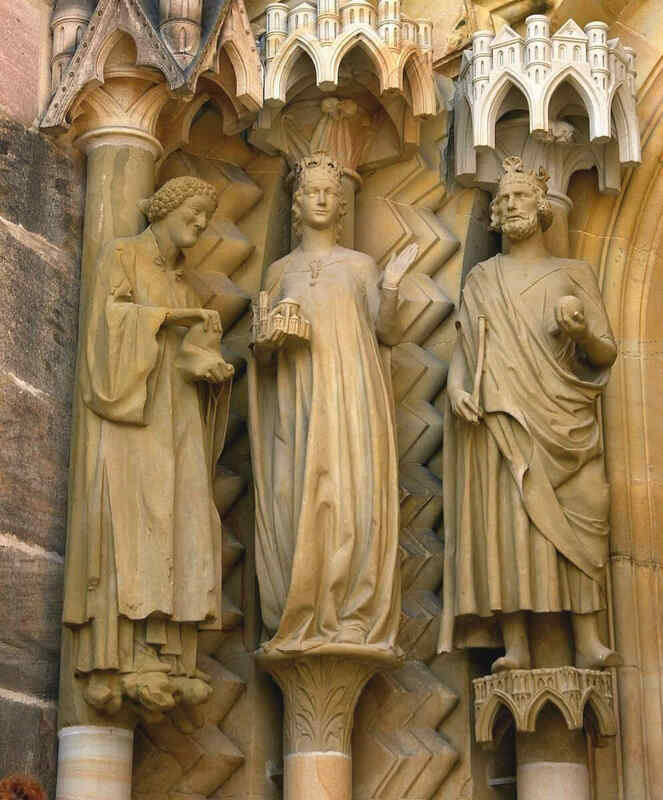 Here, then, we see the Emperor Heinrich, the Empress Kunigunde, and, on the left, St. Stephen. Needless to say, these things presuppose, as a rule, the naivete of the common people, their blind devotion and dependence. Today, in the fond belief of our contemporaries, these things are overcome. Inwardly, they are present all the more. 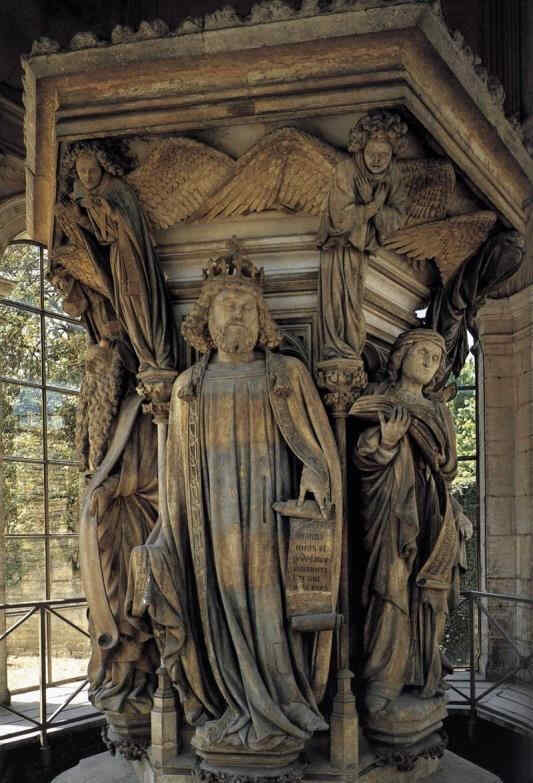 On the part of the great lords themselves there is very frequently the underlying idea (not unconnected with very human qualities, which shall be nameless), that they themselves stand just a little nearer to the various Saints and supersensible powers than ordinary mortals do. We will now show a detail, the middle figure of this picture. The Old and the New Testament were always conceived in unison, as the promise and the fulfilment. 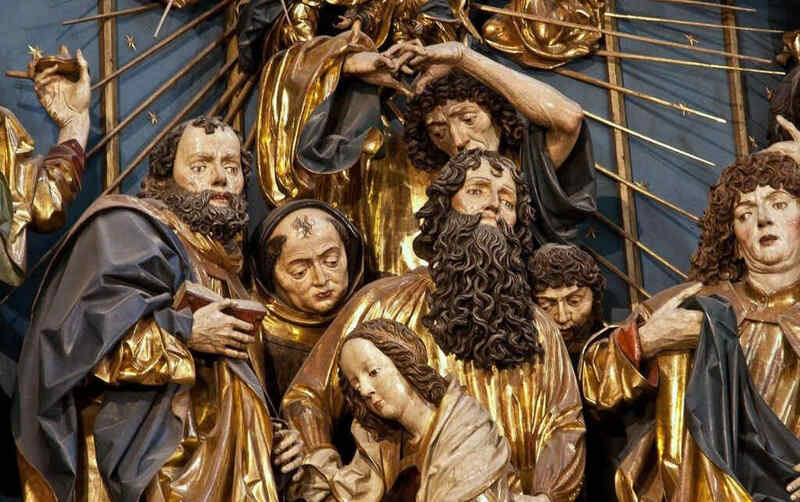 Follow the detail of these figures. 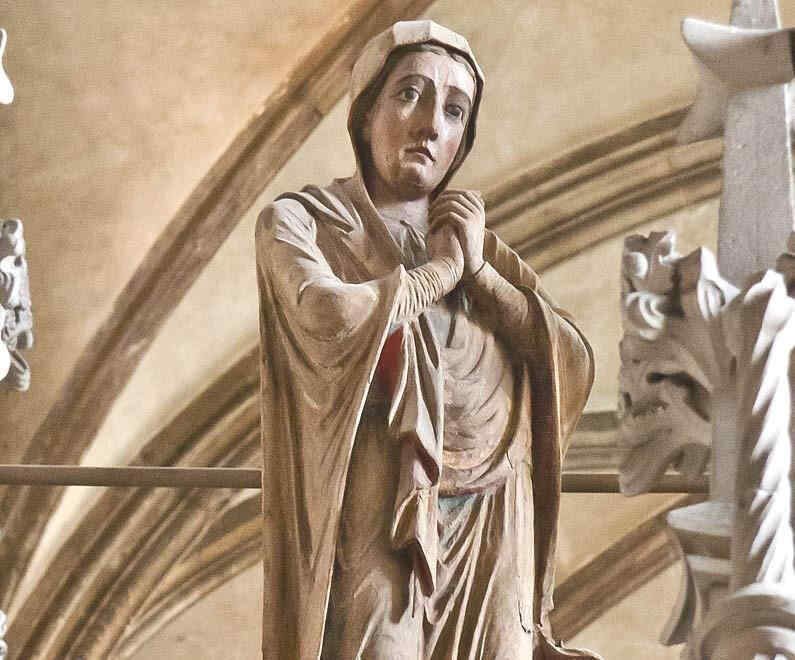 And now another figure from the same Cathedral. A favorite representation at that time. 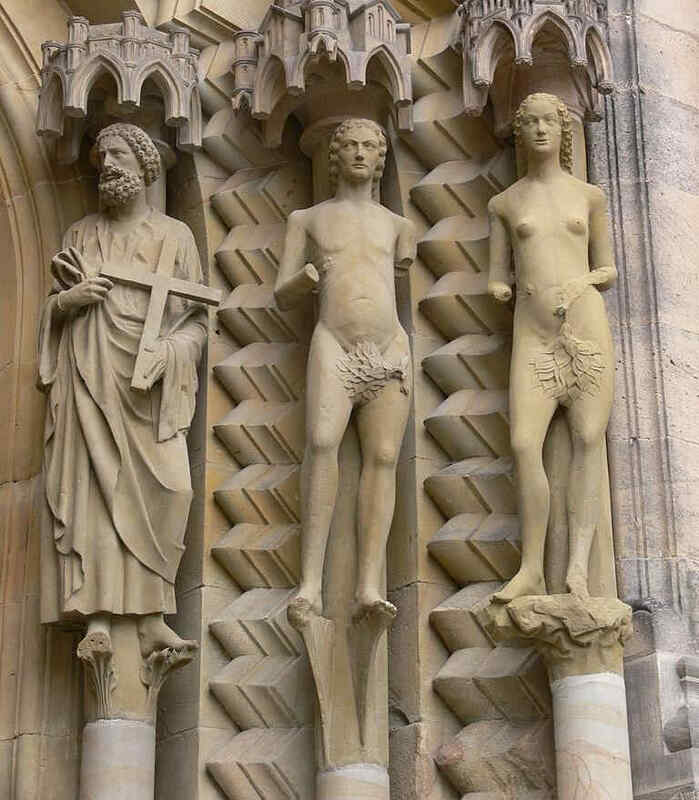 Last time we saw the corresponding figure from the Cathedral at Strasburg. The figure of the Church is conceived with a certain inner freedom. Her soul is free, she gazes freely far into the world, with wisdom. 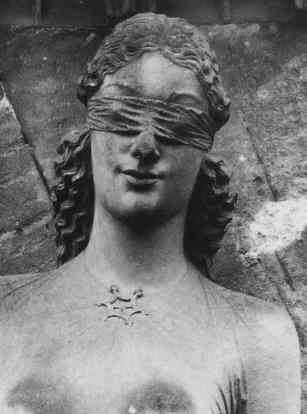 This figure is in contrast, as we saw last time, with the Synagogue, who is represented once more with bound and downcast eyes. 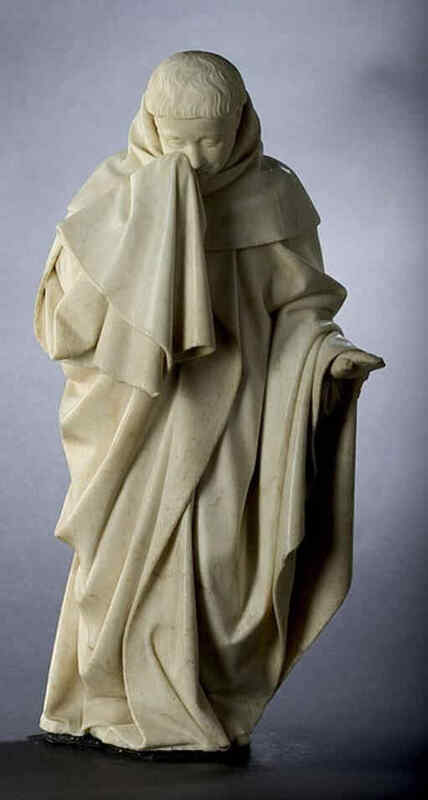 The whole posture is intended to represent this contrast in every detail, even to the sweep of the drapery. 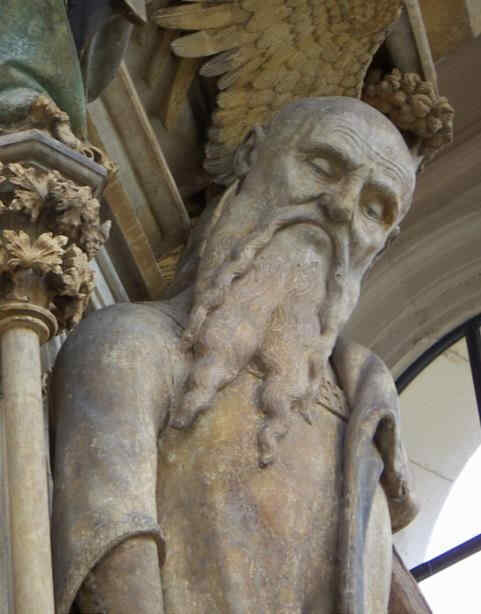 And now a worldly, or secular figure from the same Cathedral. We now pass on to the 14th century, and see what had occurred by that time. 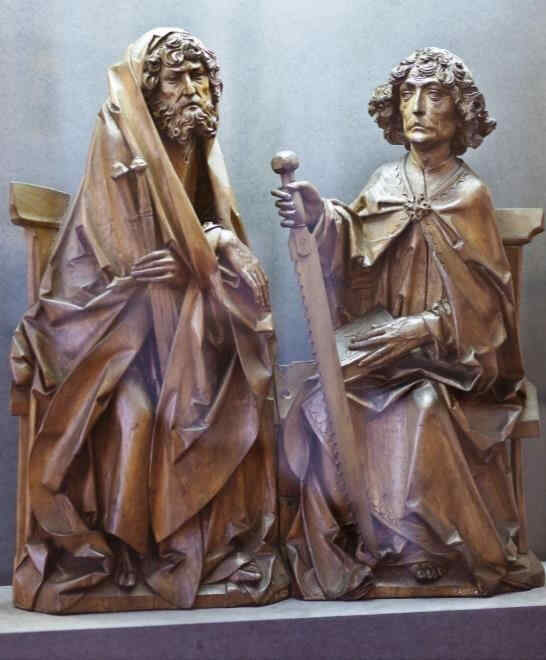 We have a few figures from the Cathedral at Cologne, first half of the 14th century. 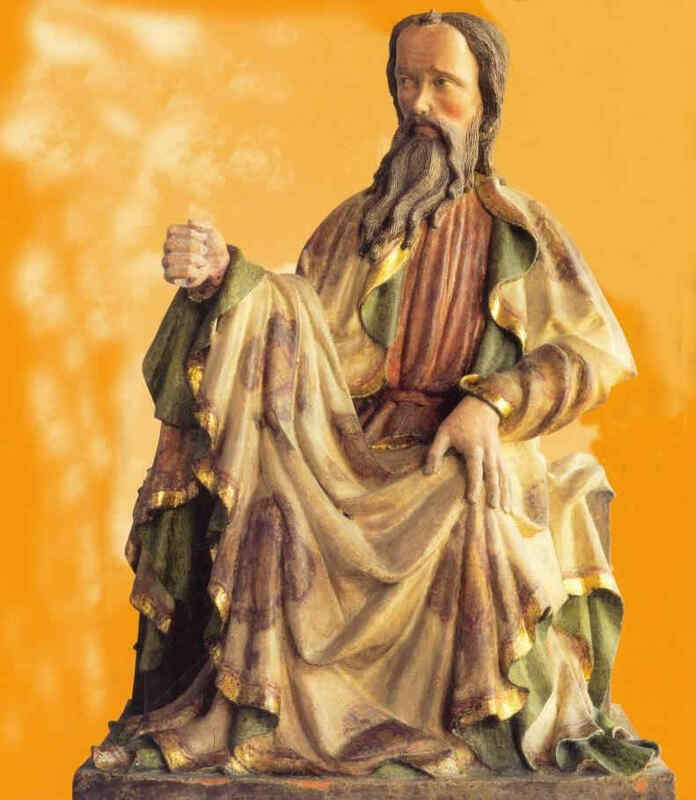 Going further in the 14th century we now come to a figure of St. Paul by a master known as the “Master of the Clay Figures.” These figures were executed in burnt earthenware. 23. 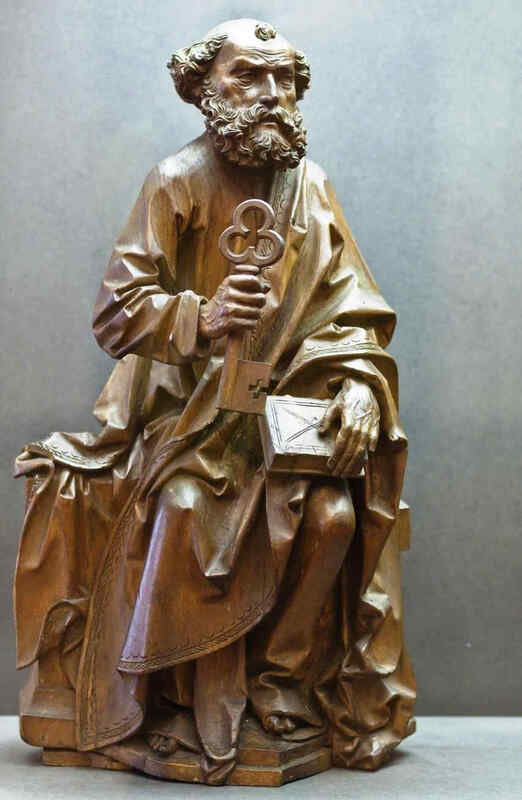 The Apostle Paul. Nuremberg. 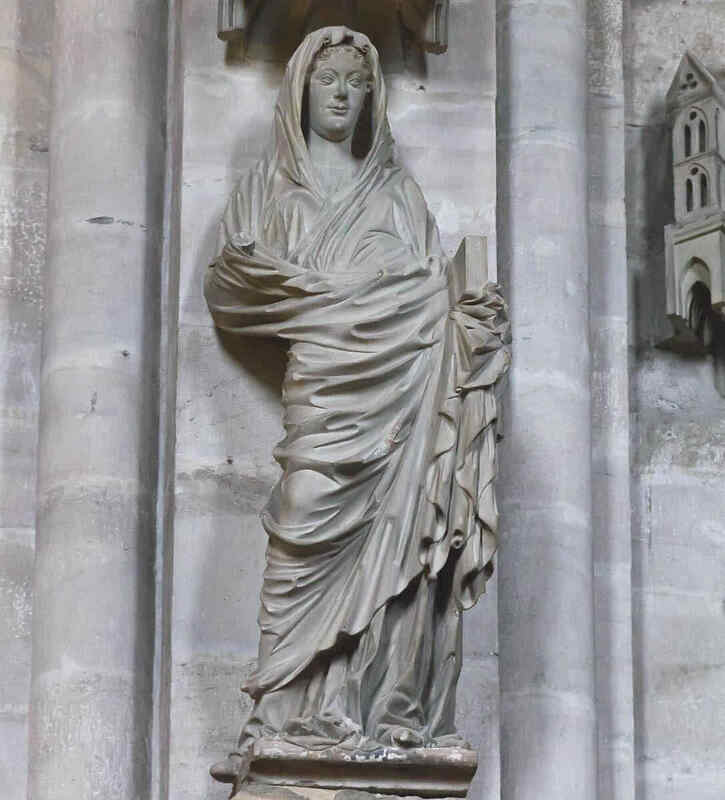 Having now shown the rise, and to some extent the decline of a stream of evolution complete in itself, we will give a series of pictures from the Chartreuse de Champmol at Dijon, which are really great of their kind. 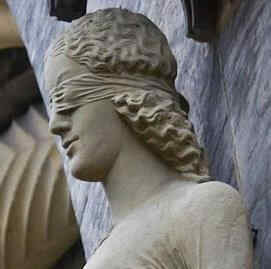 Most, if not all of them are the independent work of the Dutch sculptor, Sluter, or else done under his direction. 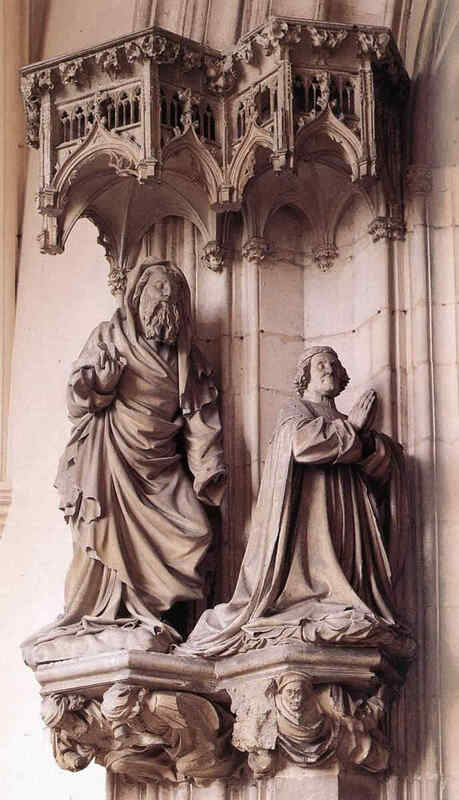 He brought to the Chartreuse at Dijon, from the Netherlands, an almost unique power of individual characterisation. From many points of view we see this individualising tendency in his work. 24. 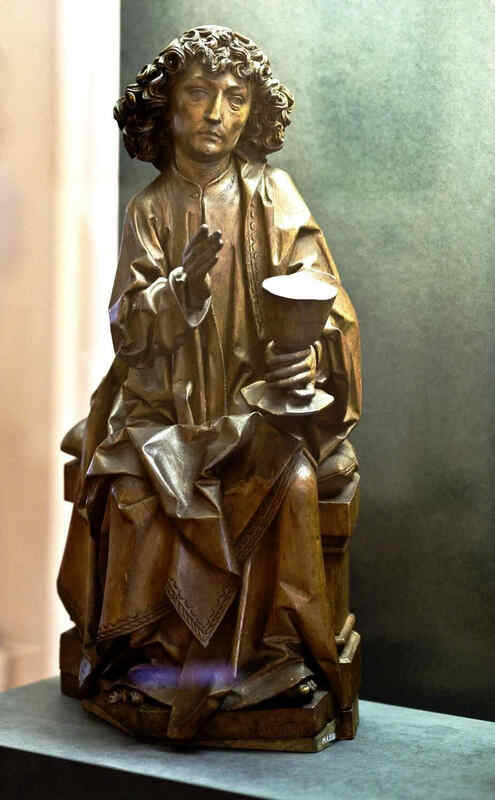 St. John the Baptist. 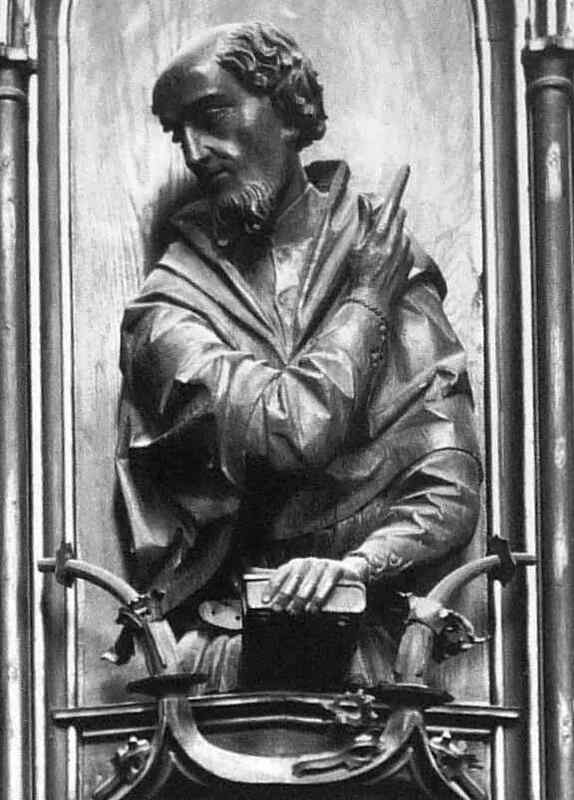 Philip the Bold. 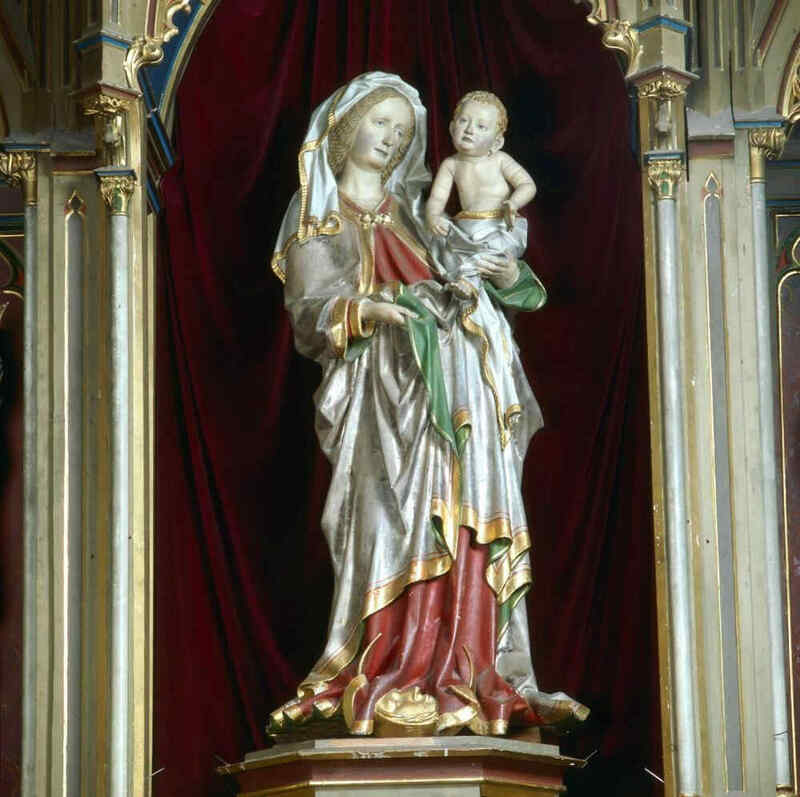 The Madonna. 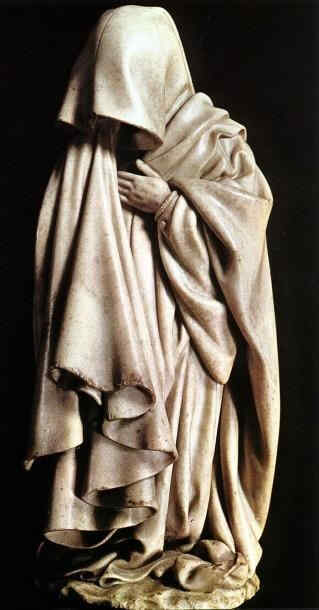 St. John the Baptist. 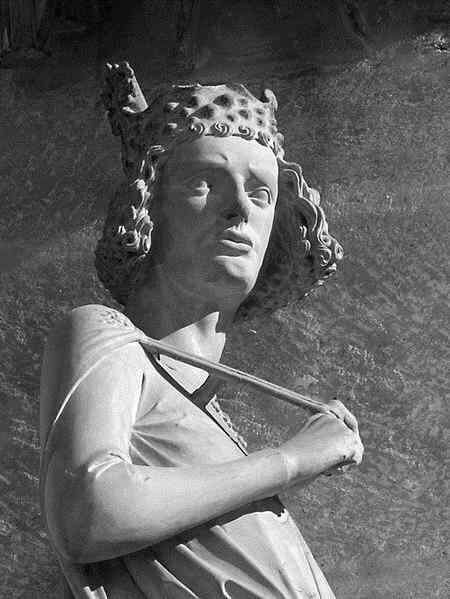 Philip the Bold. Here especially you see the Art of individual characterisation. 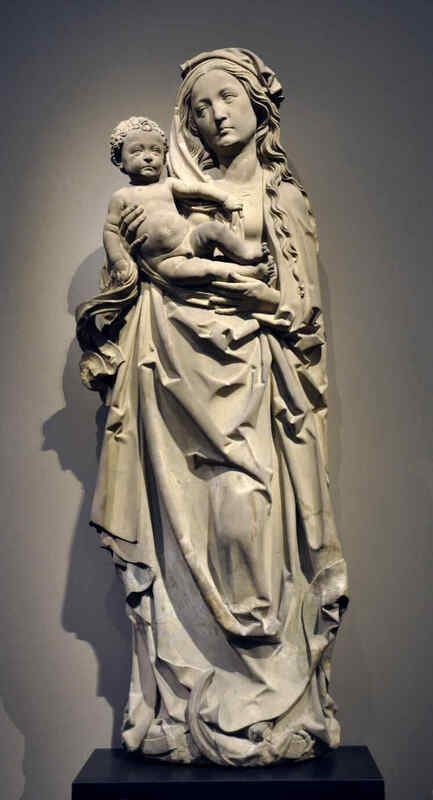 Compare this Madonna and Child of Sluter's with the next picture (Moses) and realise the power of one and the same man to characterise these two. Remember that this Chartreuse at Dijon was built in 1306 to 1334; it was therefore the beginning of the 14th century. Compare this with Michelangelo's Moses — for why should these things not be placed together — they are, indeed, comparable. And now by the same artist as before — Sluter. 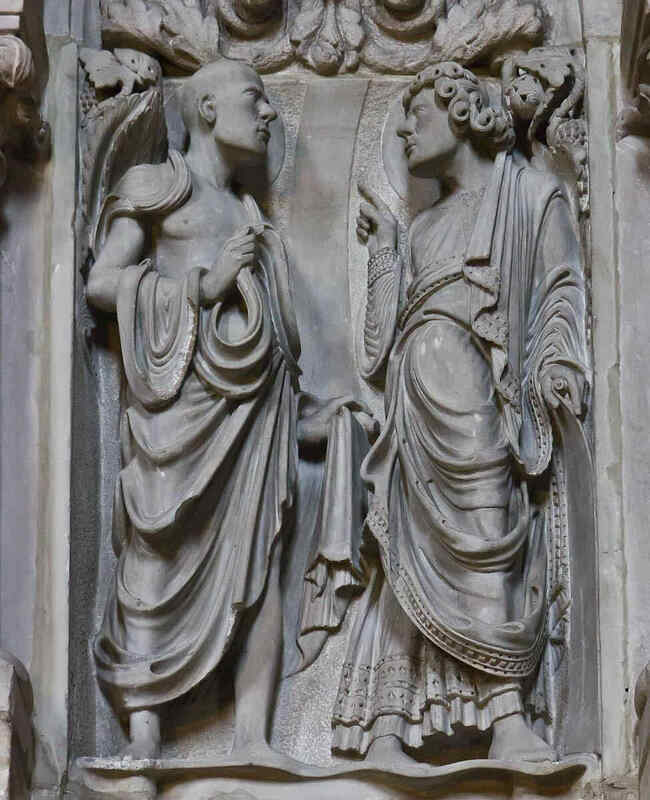 The figures round the base of the tomb which were formerly so small, are wonderfully executed when you come to see them in detail. 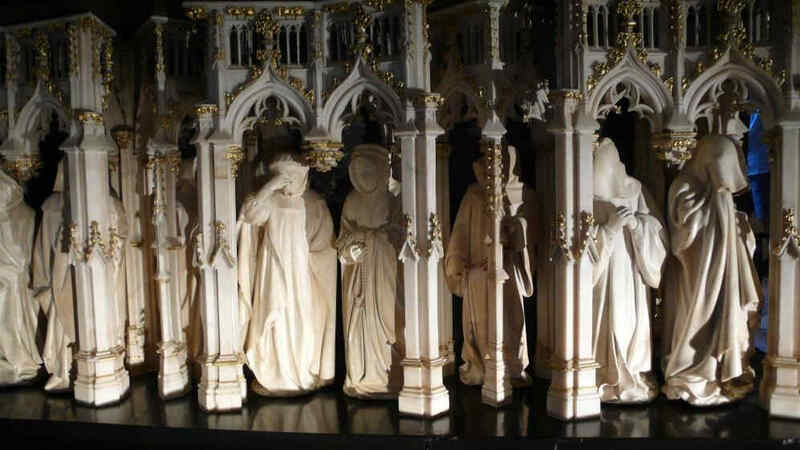 Such is the individual characterisation of all the single figures round the base of the tomb. Here is another group. This is about the middle of the 15th century. 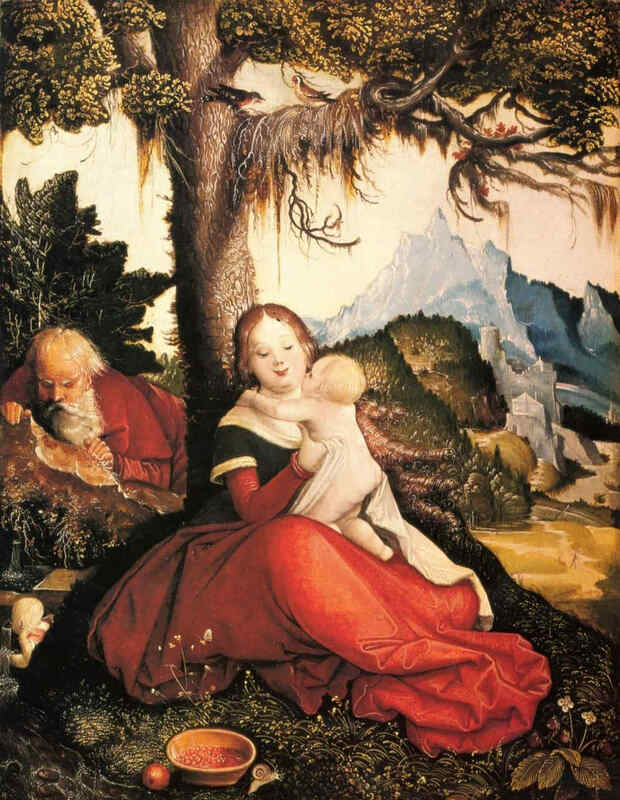 The next is a Madonna, by the same artist (Multscher). And now we go further and further in what I described just now as the elaboration of the Christian subjects with deep inwardness of soul. 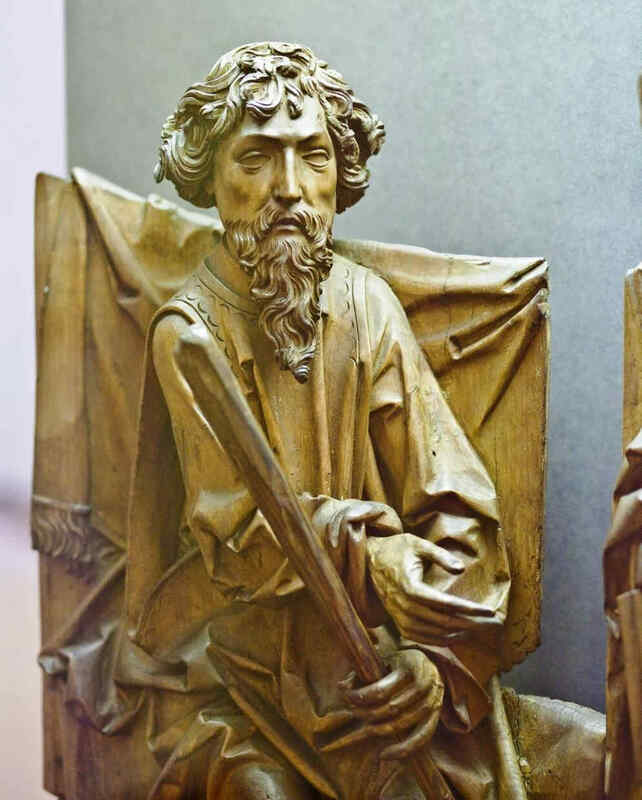 The following are figures carved in wood, at Blutenburg (end of the 15th century). The art of characterisation has, indeed, attained its ideal to a marvellous extent. This, then, is the time when Michelangelo and Raphael were born. The next picture, too, is from Blutenburg. 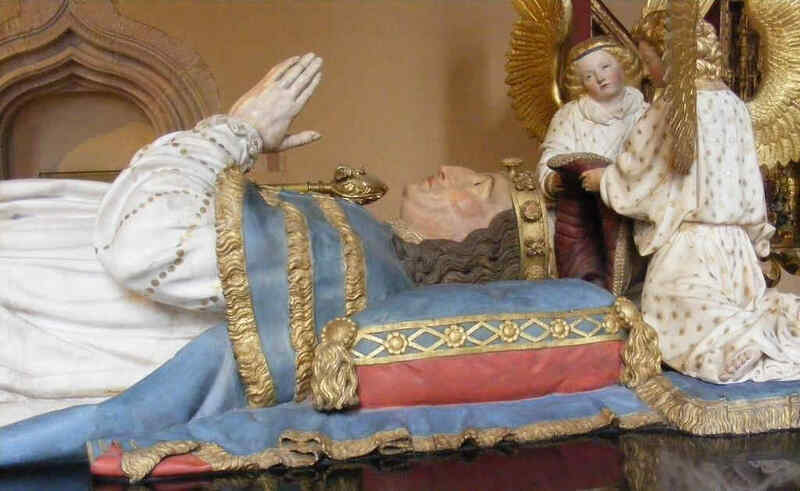 The time when these highly individual figures were created was also especially great in wood-carving, with which they decorated the Choristers' seats in their churches. 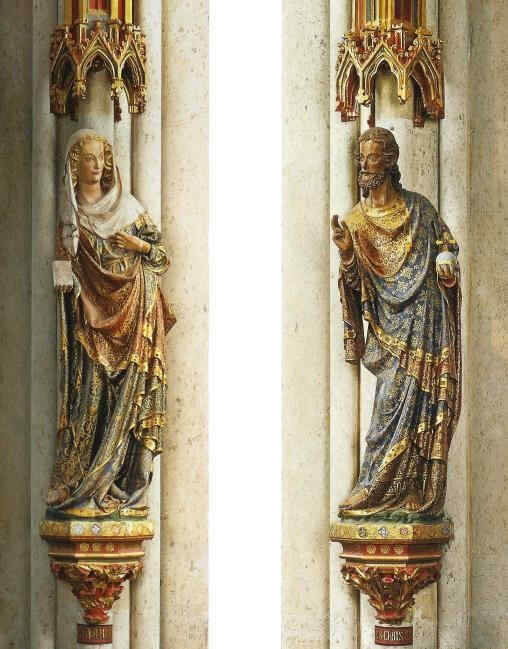 We will give two examples from the Frauenkirche in Munich, end of the 15th century. 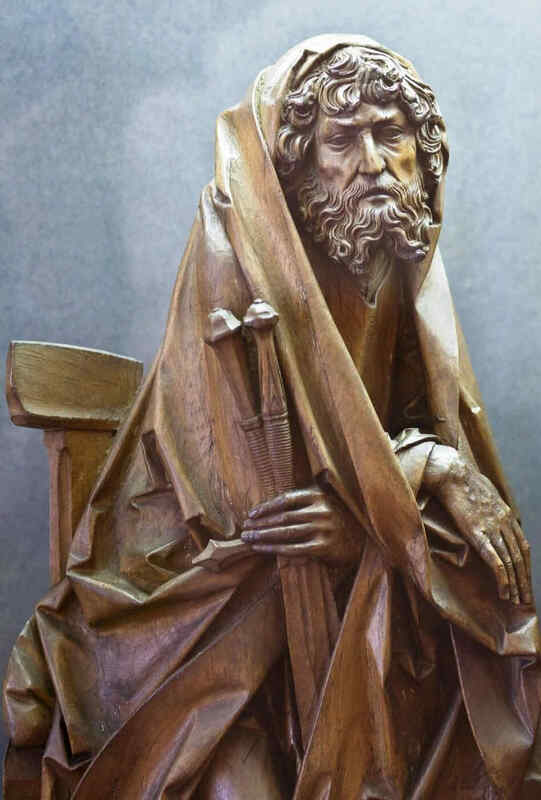 We now come to the sculptor who worked at the end of the 15th century. And this was the time when the High Renaissance in Italy had not as yet begun. 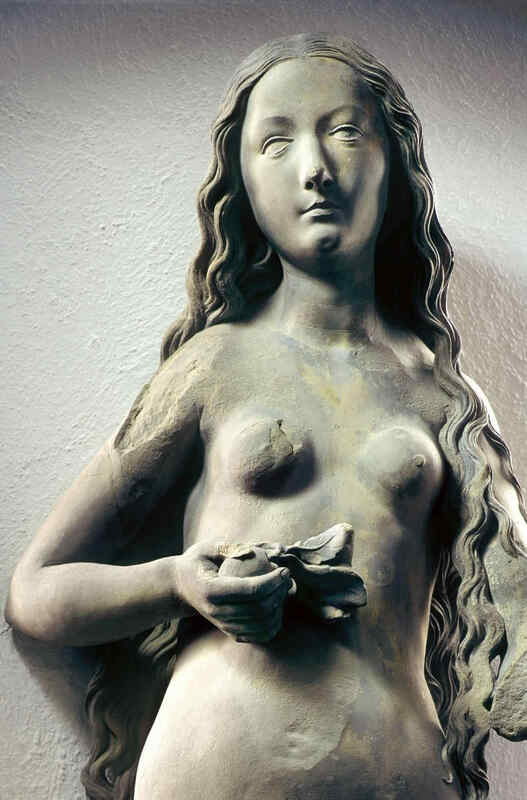 These works were created about 1490–1495. 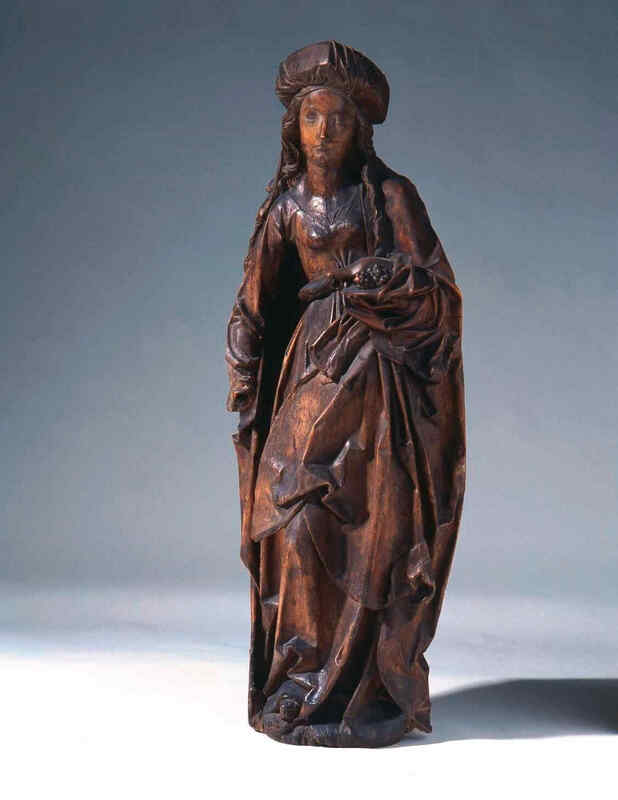 This, too, dates from the beginning of the 16th century. 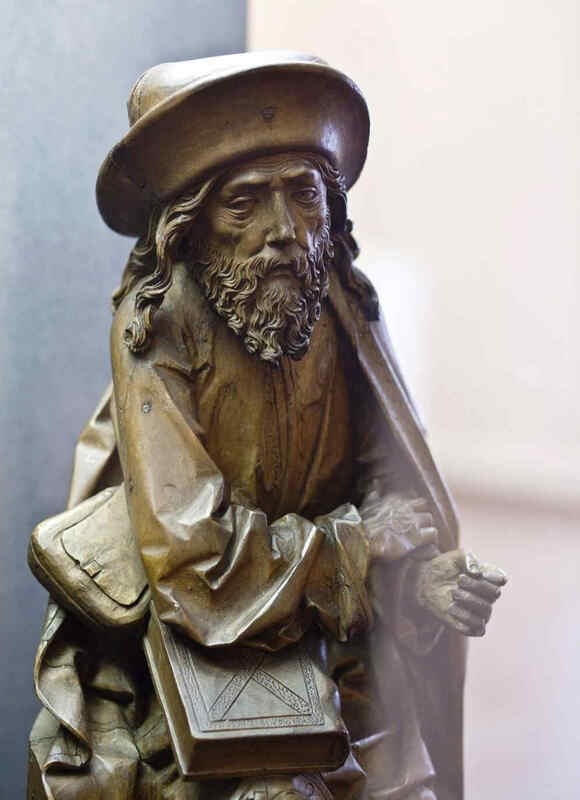 Finally, we give two examples of the sculptor — Veit Stoss — early 16th century, who worked in Cracow and also in Southern Germany, creating his plastic works in many different materials. 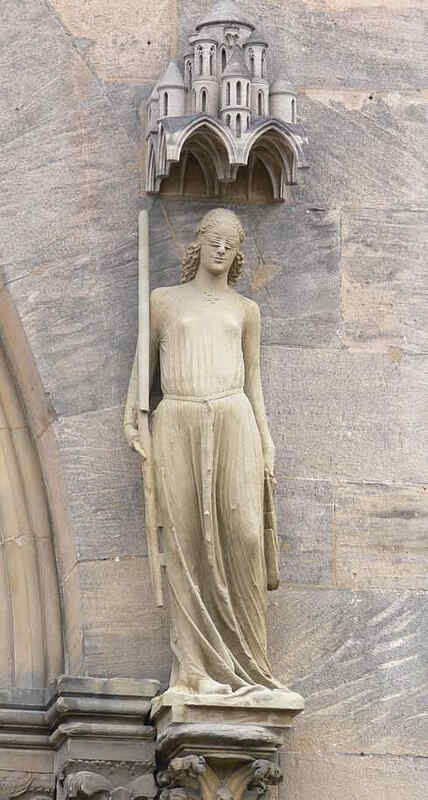 The next picture is in Nuremberg,. “The Angel's Greeting,” it is called. 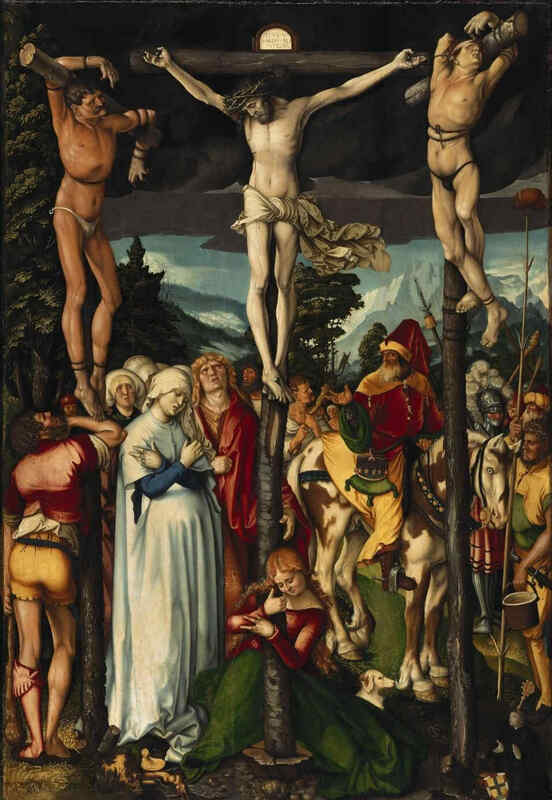 I will also show three paintings by Hans Baldung, also known as Hans Grun, who worked in Dürer's workshop at the beginning of the 16th century — about 1507–1509. His pictures reveal once more, in the sphere of painting, how everything is turned towards the life of the soul. Hans Baldung was also a portrait painter of no mean order. Here you have an example. 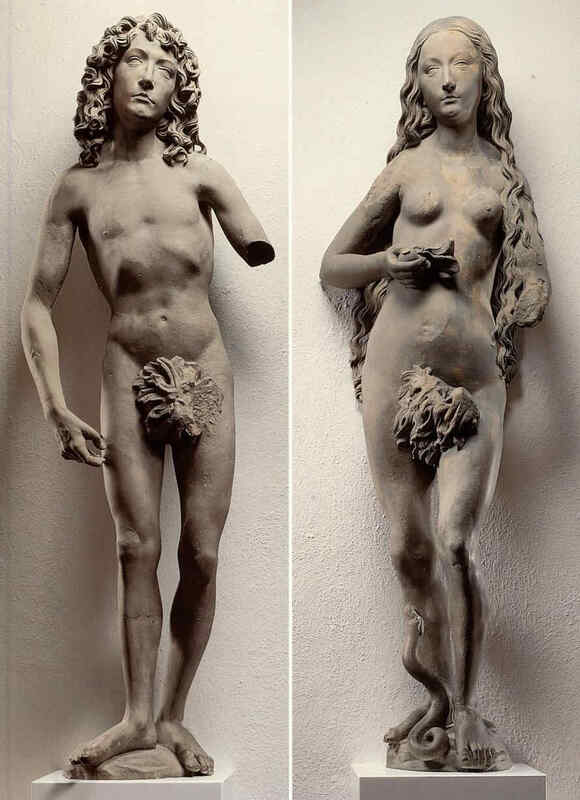 This picture, then, is of the early 16th century — the time of Raphael and Michelangelo in Rome. My dear Friends, the more we multiply these pictures, the more should we see, from this juxtaposition of the Northern and Southern Art, what an immense revolution took place at the turn of the fourth and fifth Post-Atlantean Epochs. And the more should we realise how infinitely rich in content is the simple statement that at that historic moment Civilisation passed from the development of the Intellectual, or Feeling Soul into that of the Spiritual Soul. Infinitely much is contained in such a simple statement. But we only learn to understand these things of Spiritual Science rightly when we follow them into the several and detailed domains of human life. In conclusion, my dear Friends, I still wish to speak a word of solemn remembrance to you on this day. The day after tomorrow is the anniversary of the death of our dear friend, Fraulein Stinde, and in our hearts we will not forget to think on that day of all that came into our Movement through the work of this dear and valued member. And we will also turn our thoughts to her soul as she works on in the Spiritual Worlds — deeply and lovingly connected as she is with our Movement. 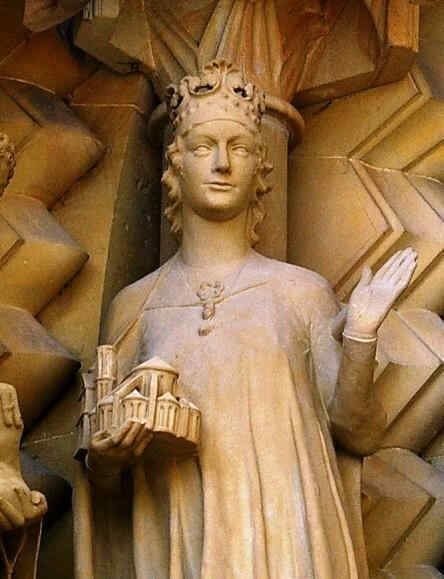 On this day especially we will deepen the thoughts and feelings of our hearts which are directed to her. I only wished to add this word of remembrance to remind you of the day after tomorrow. In memory of all that unites us with our dear friend — with the soul of our dear Sophie Stinde — let us now rise from our seats.